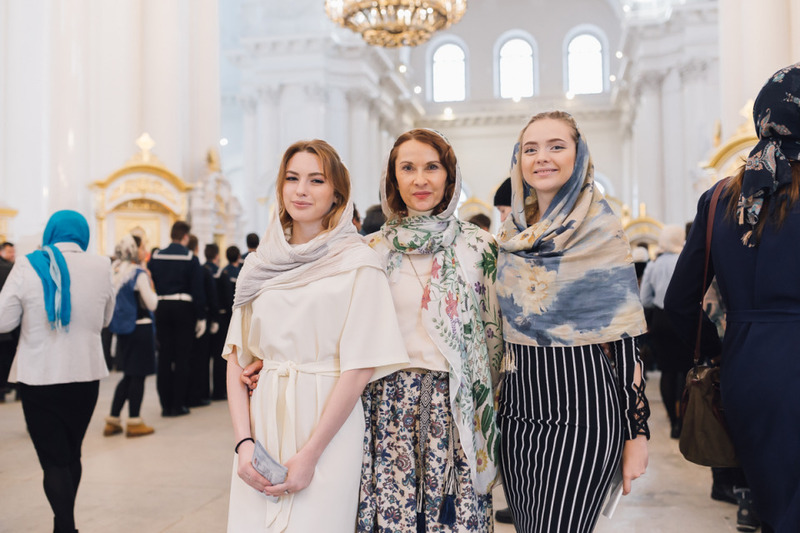 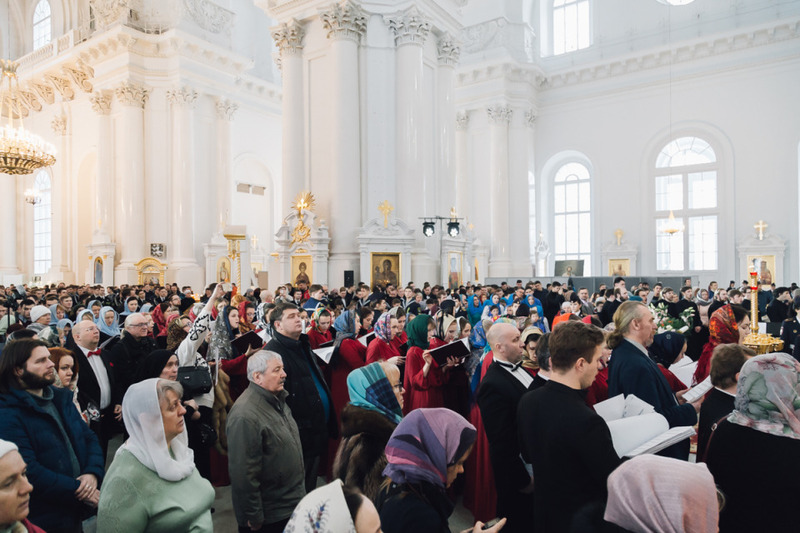 The festival is held annually in the Smolny Cathedral on St. Tatiana's Day. 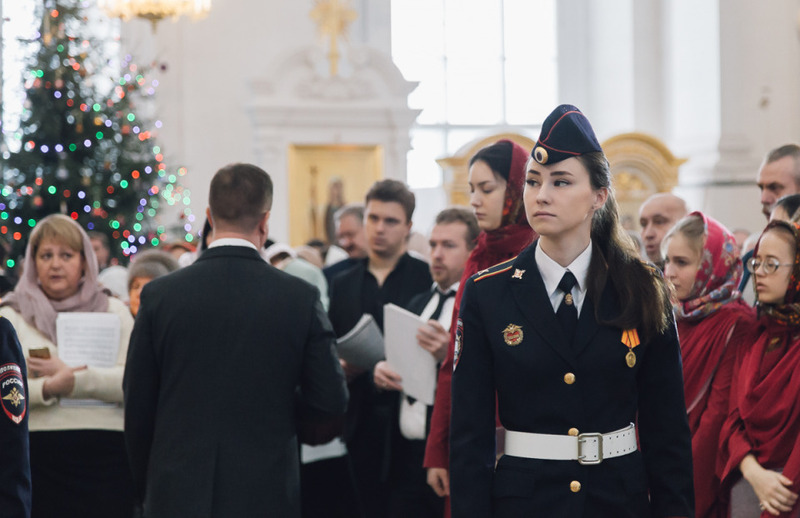 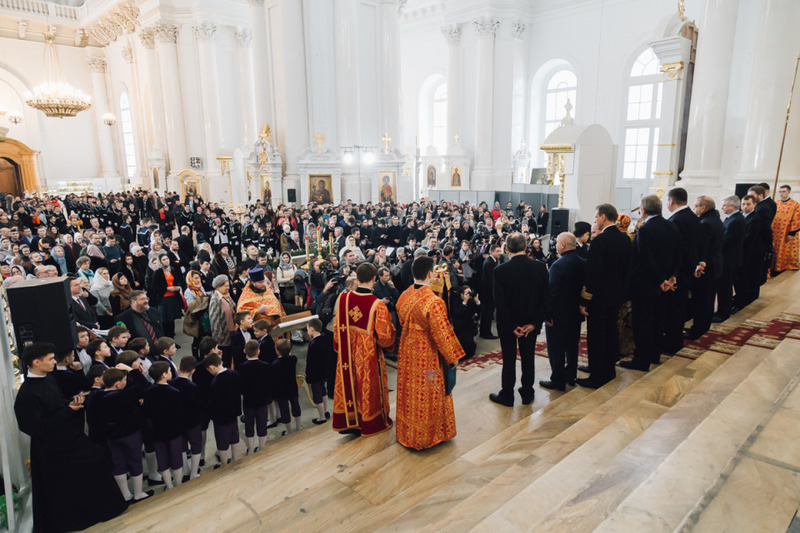 Traditionally, hundreds of students and teachers of St. Petersburg participate in the solemn service and awarding. 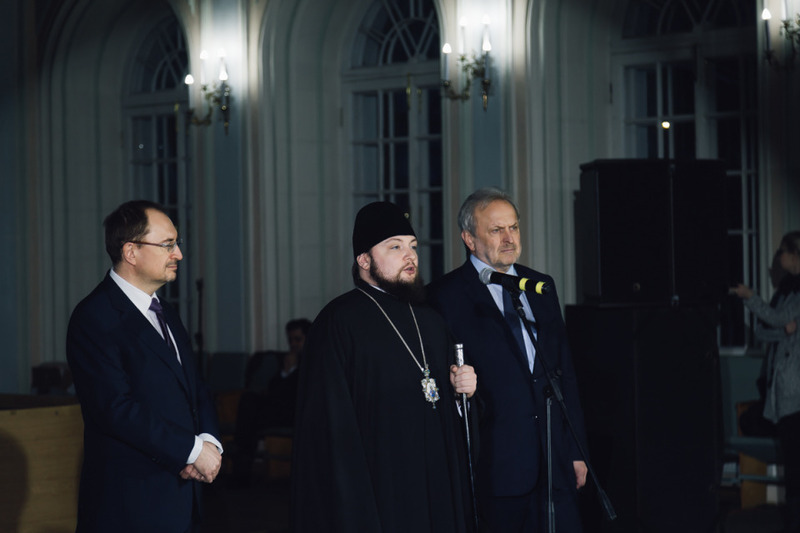 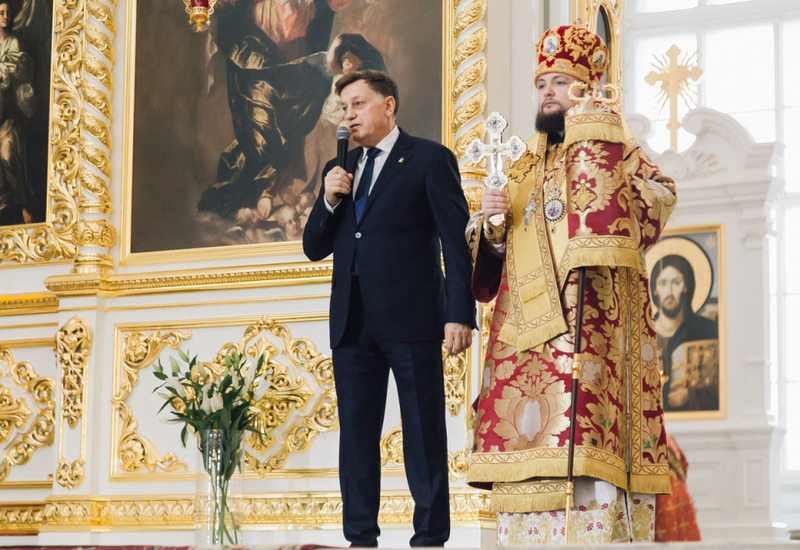 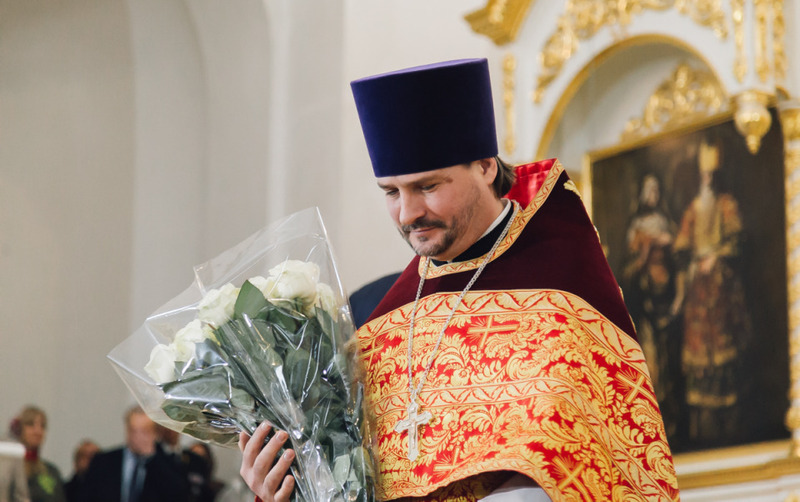 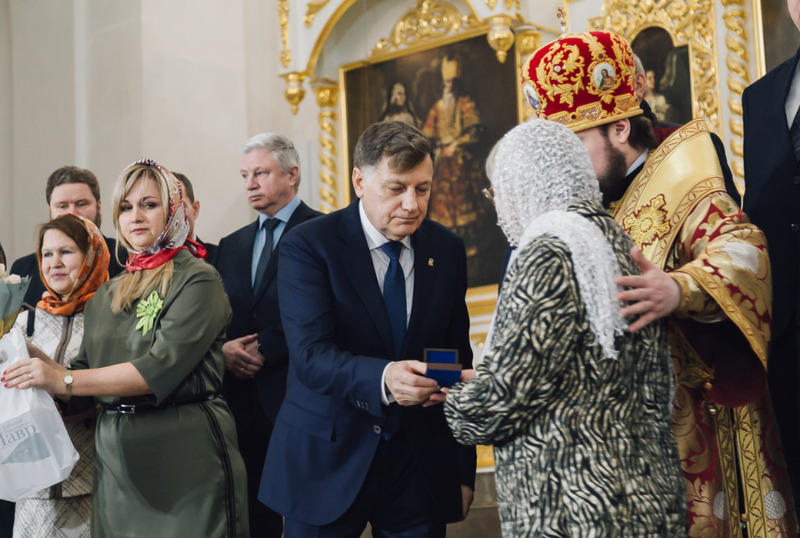 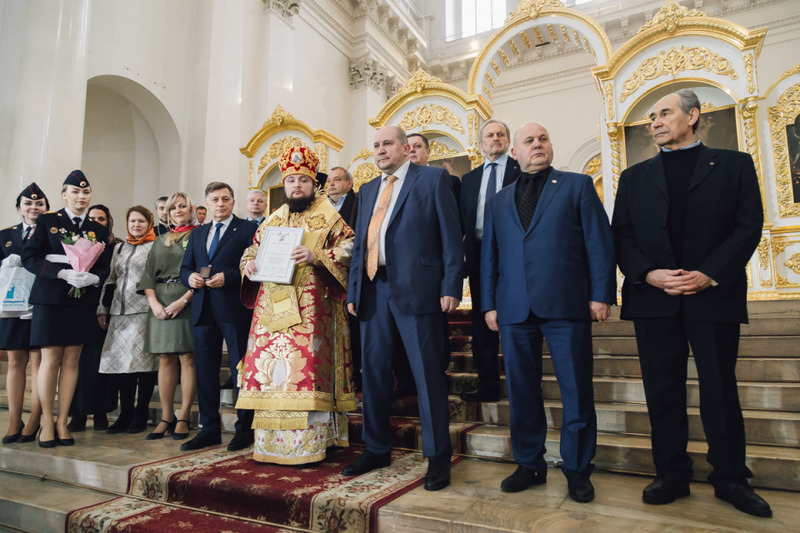 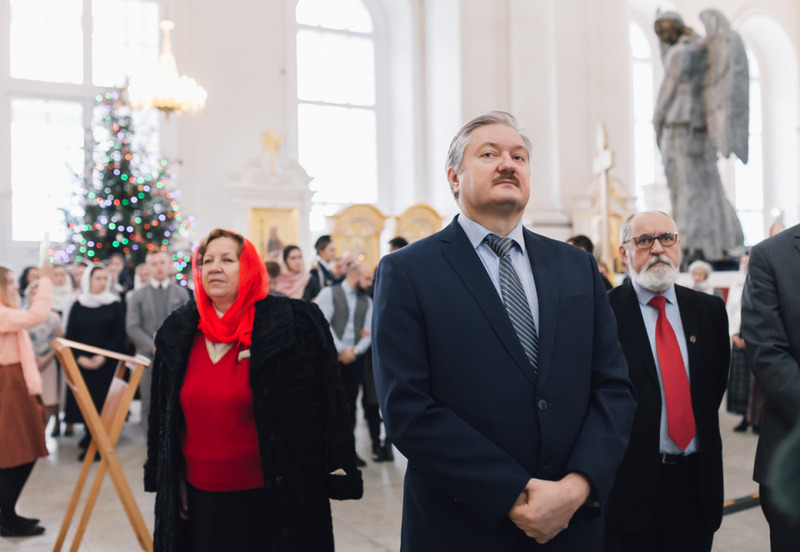 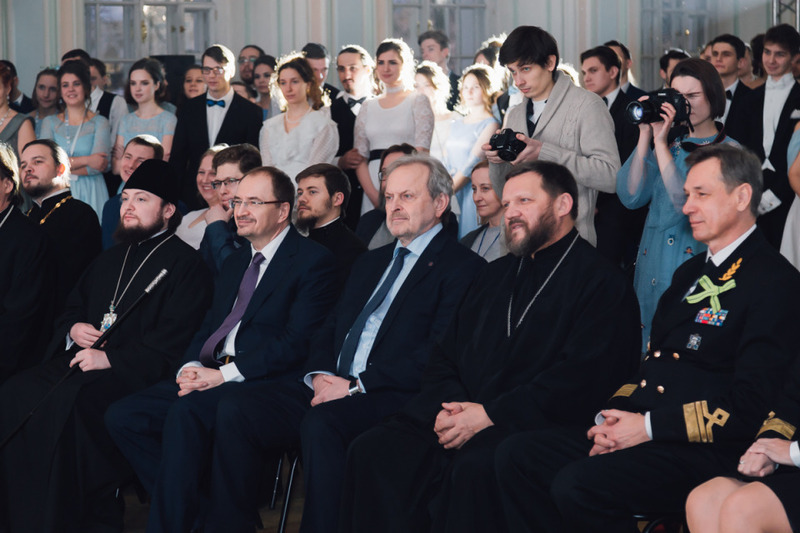 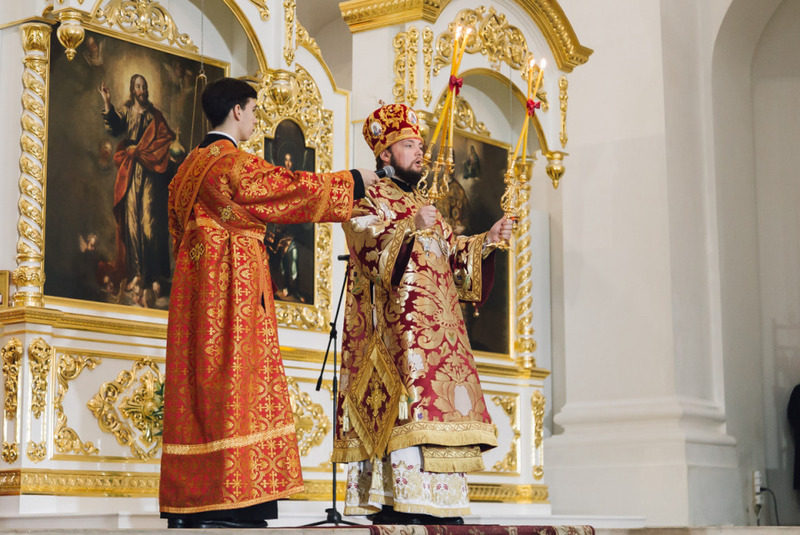 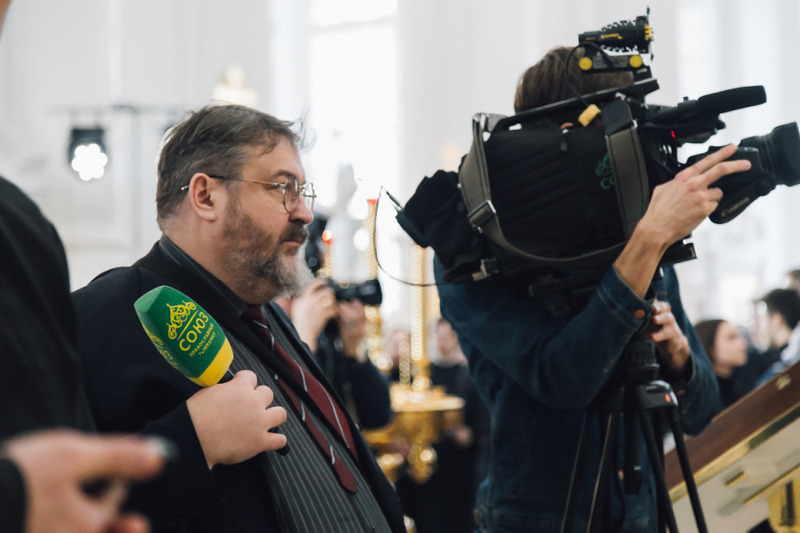 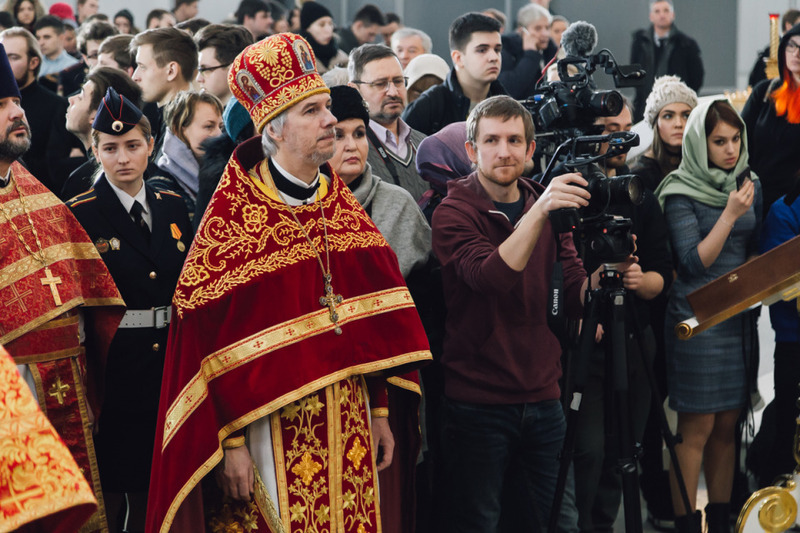 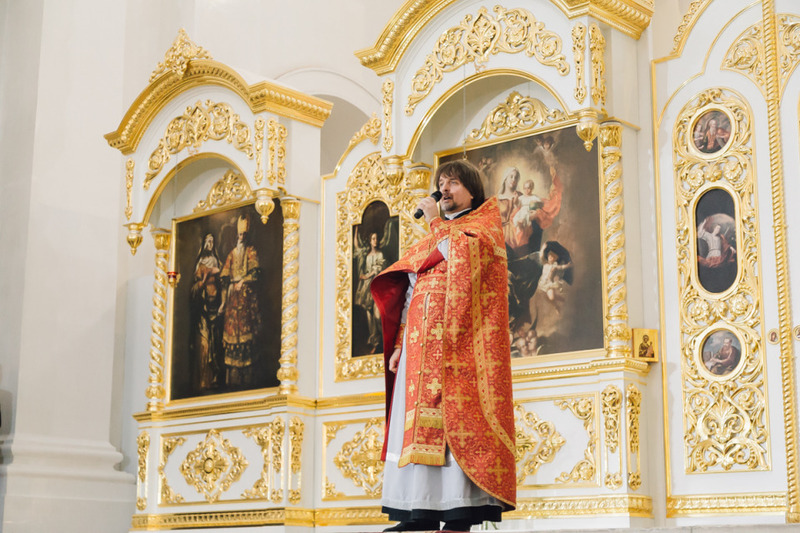 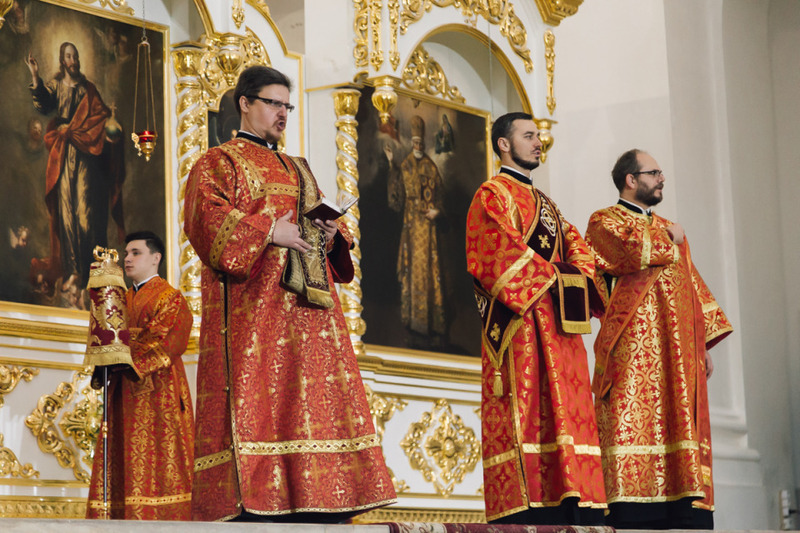 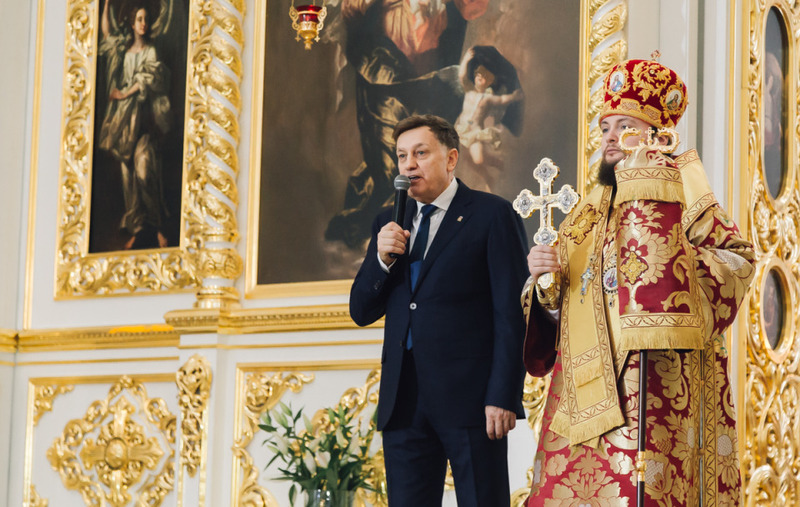 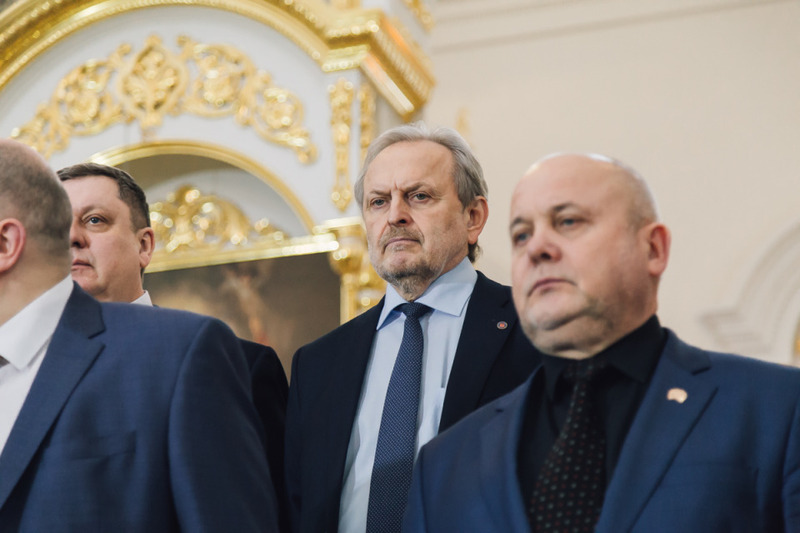 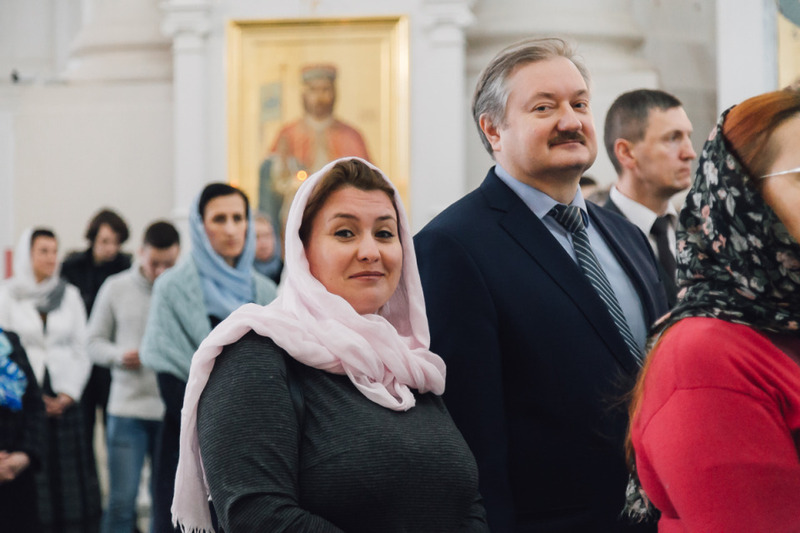 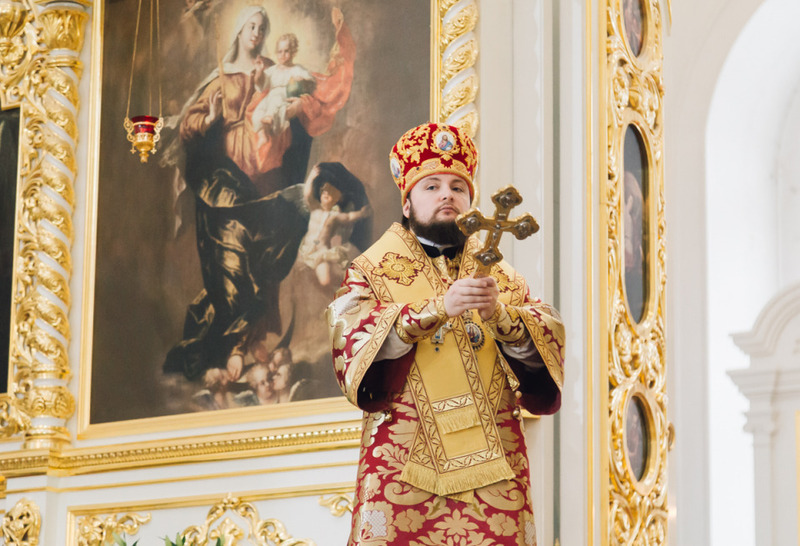 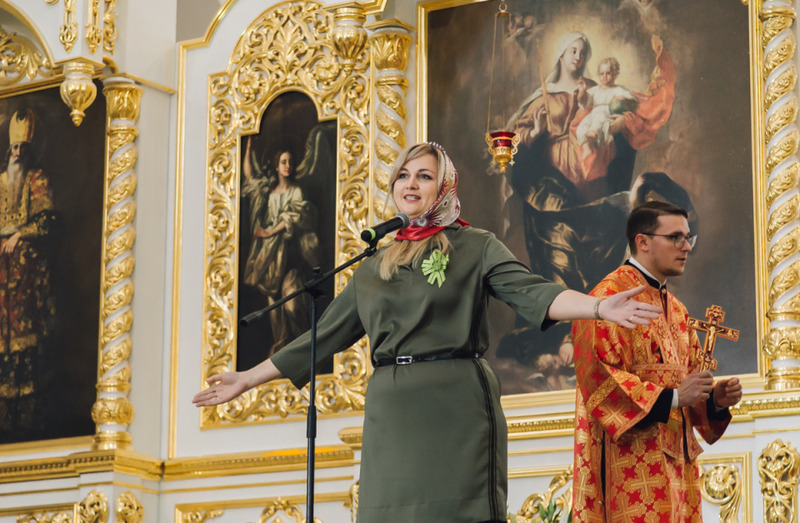 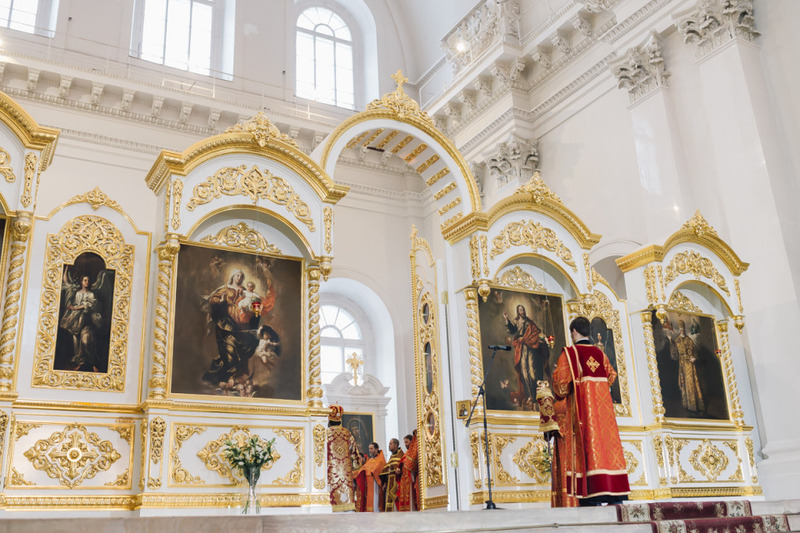 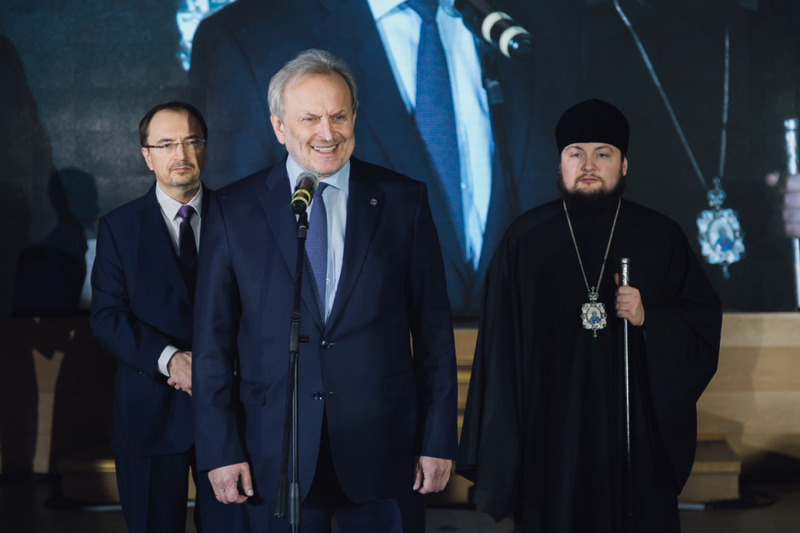 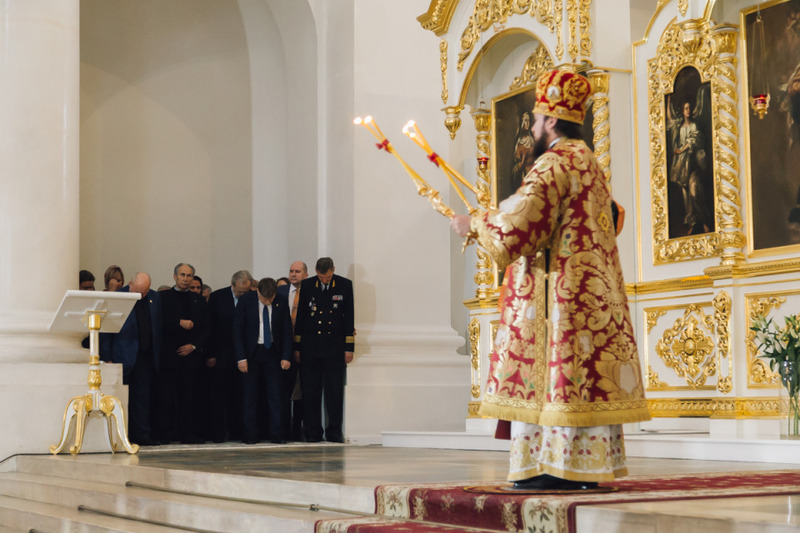 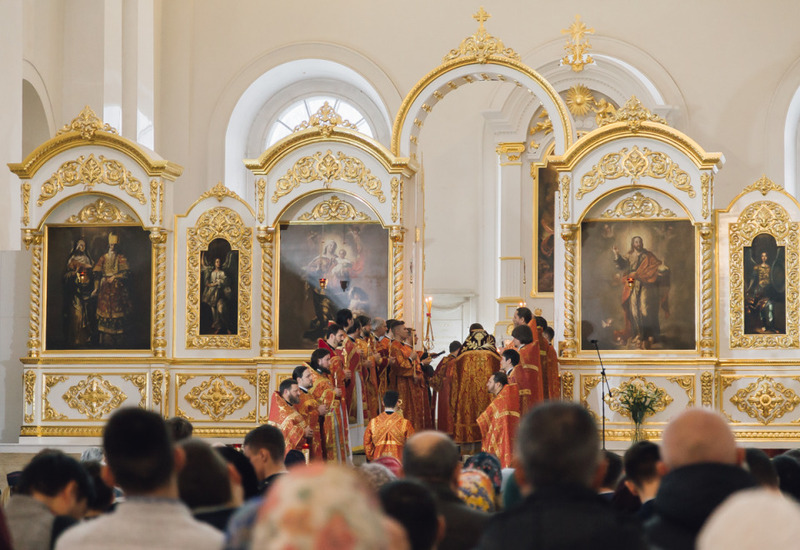 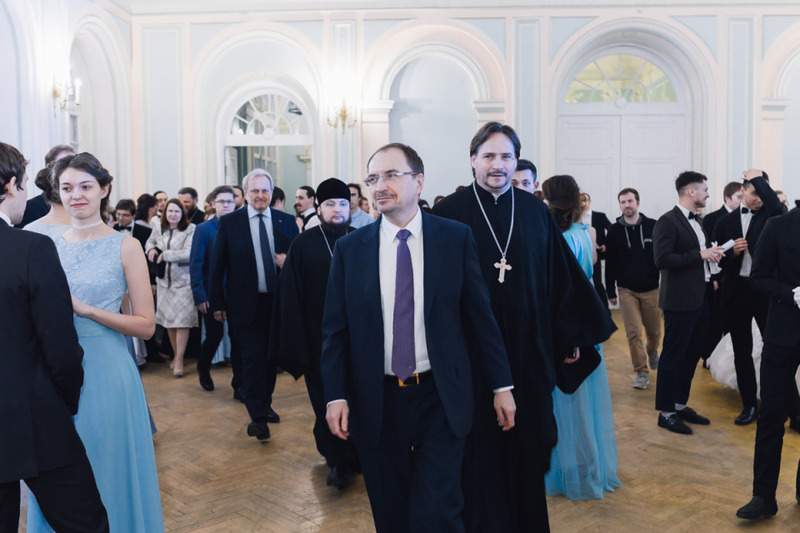 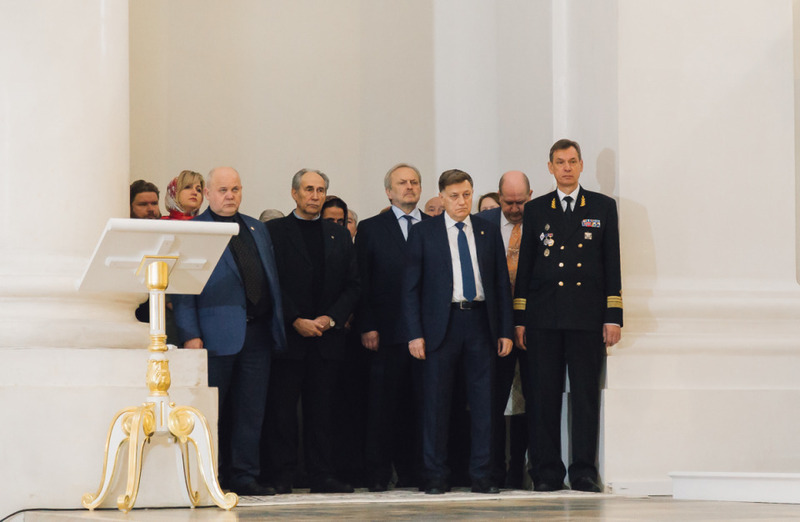 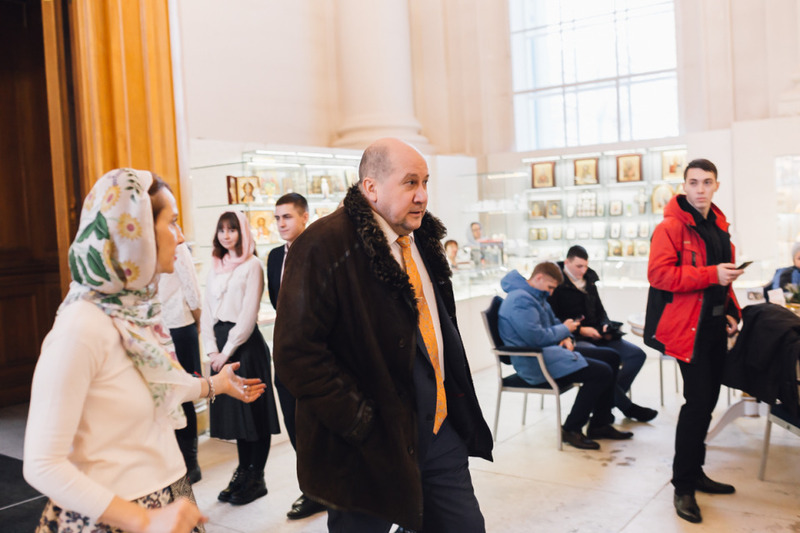 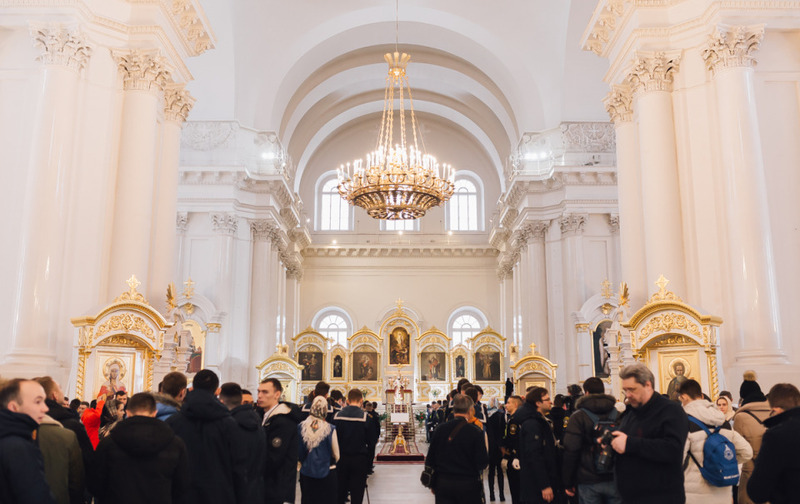 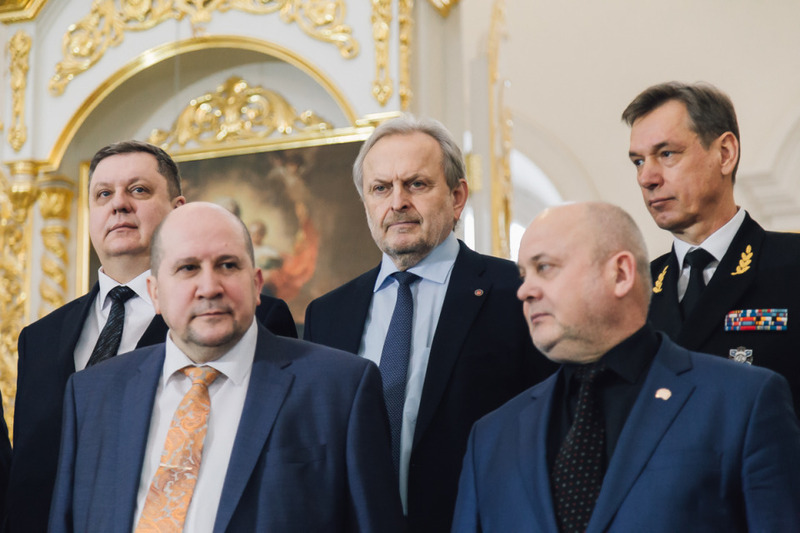 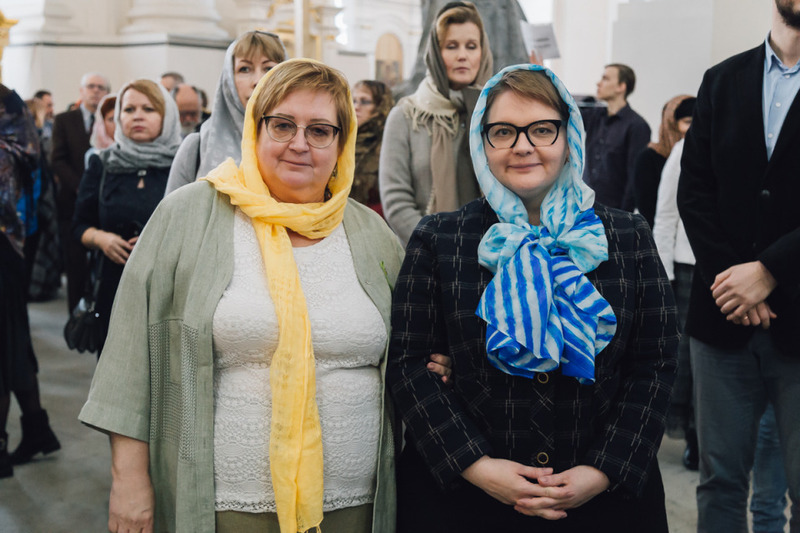 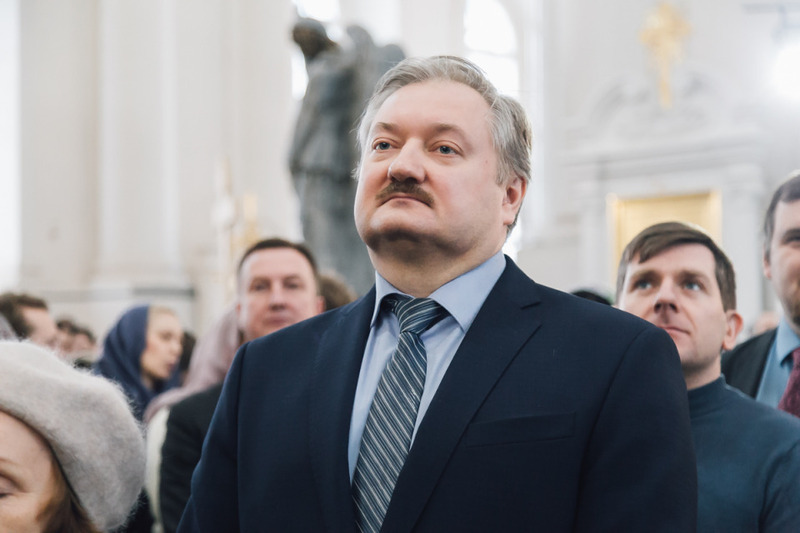 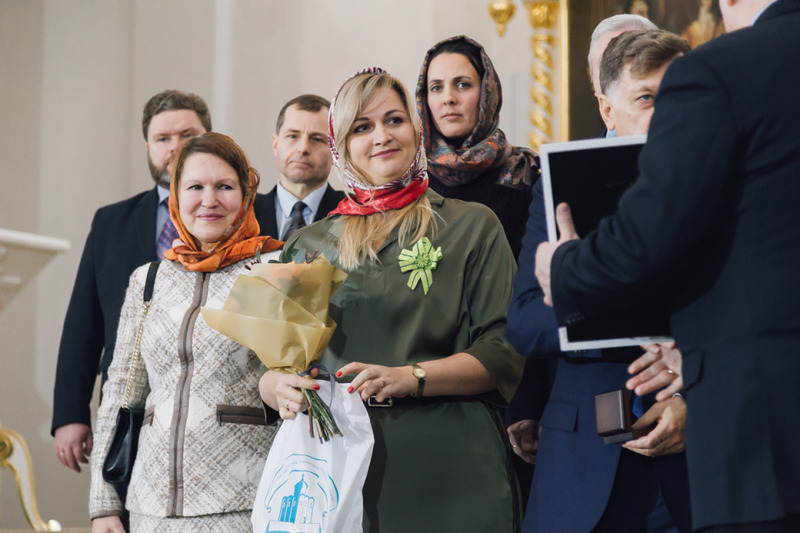 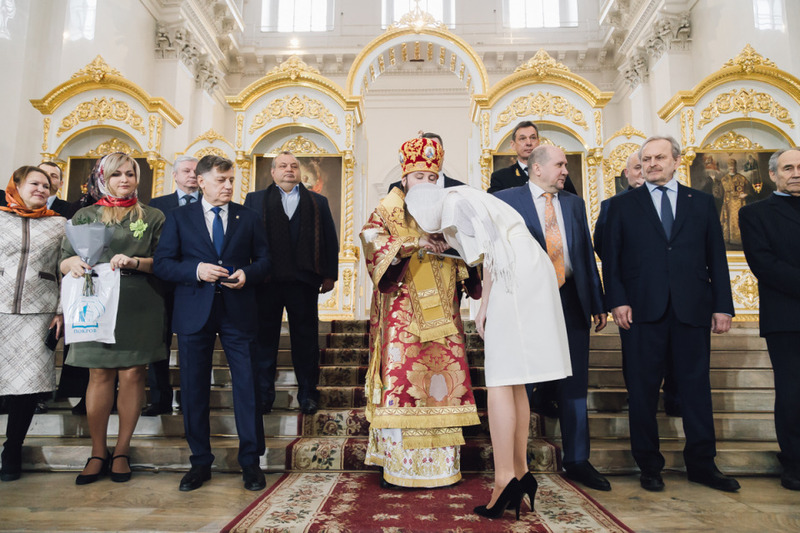 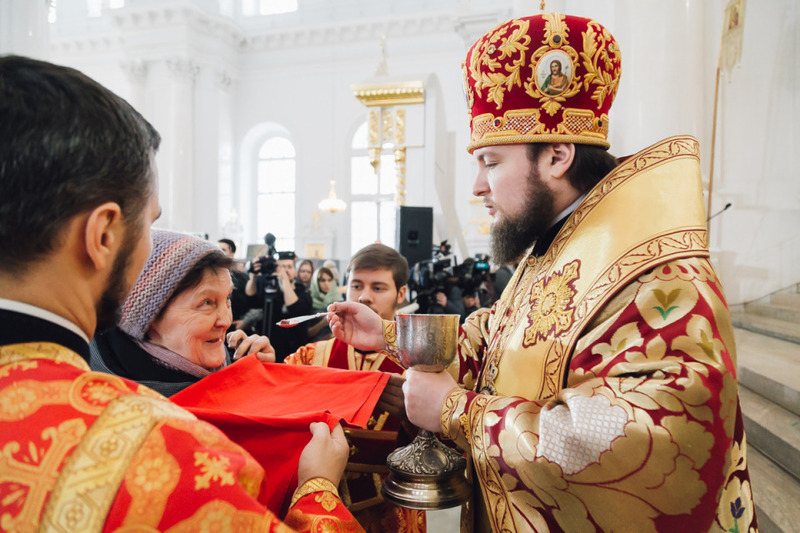 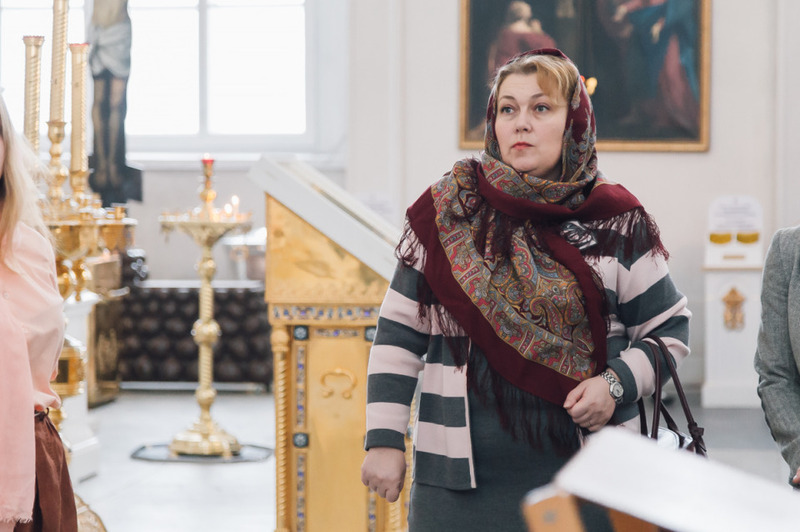 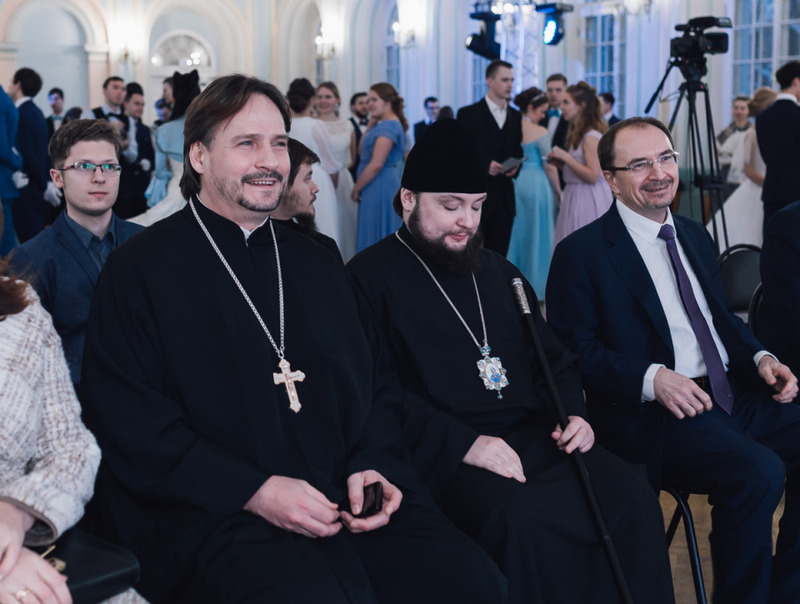 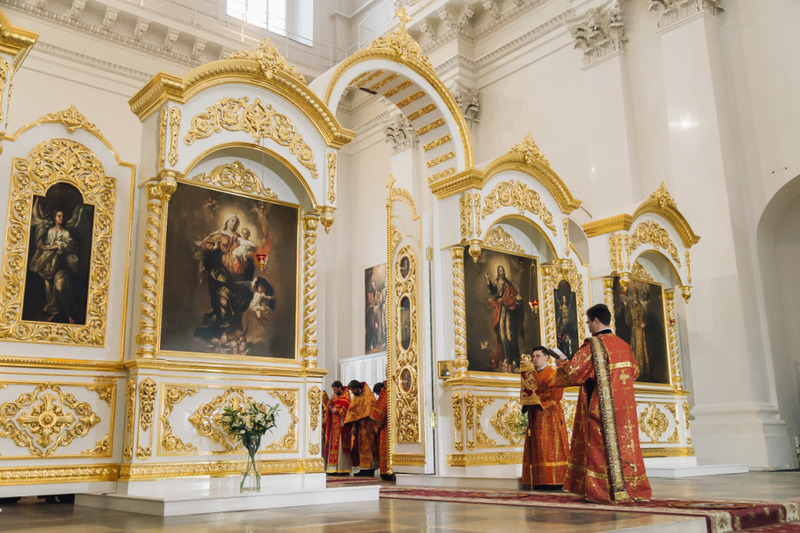 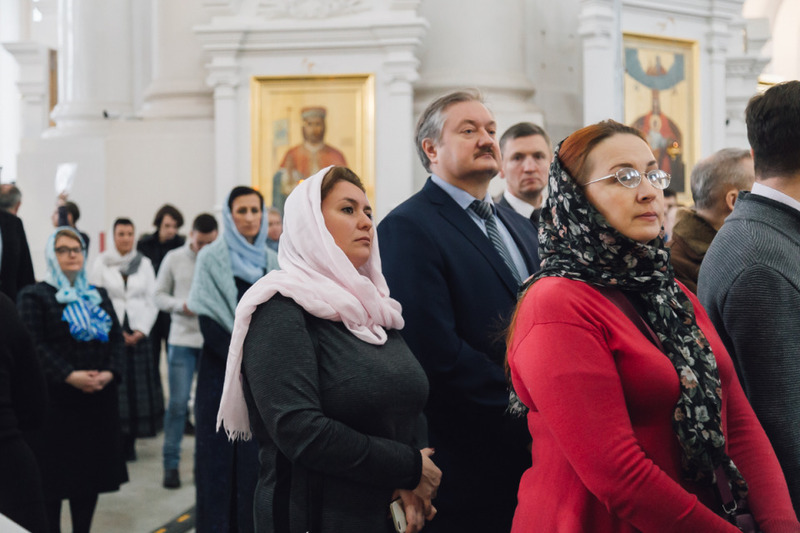 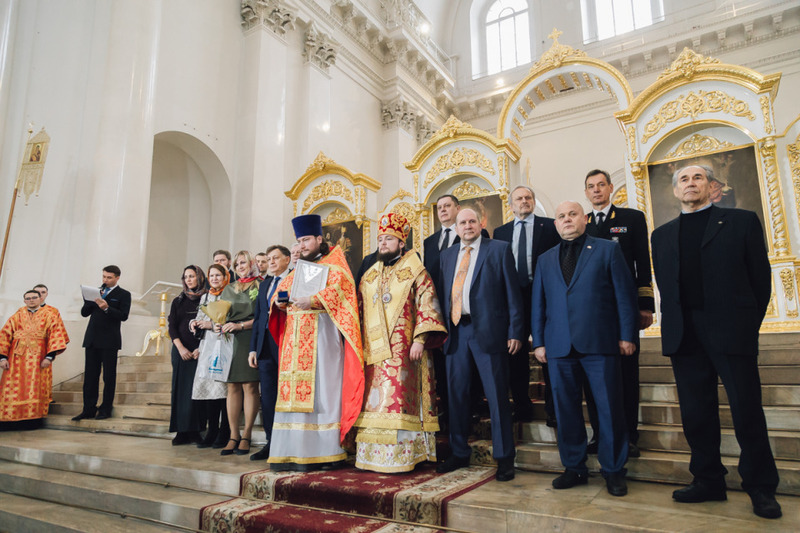 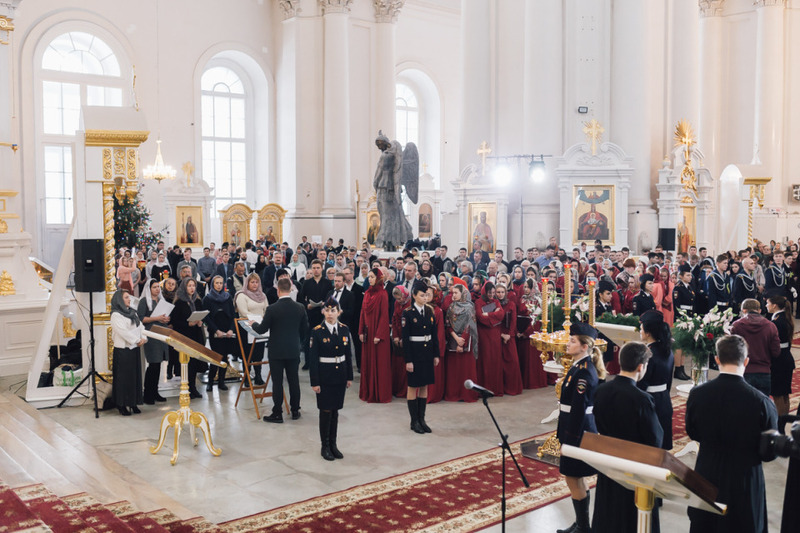 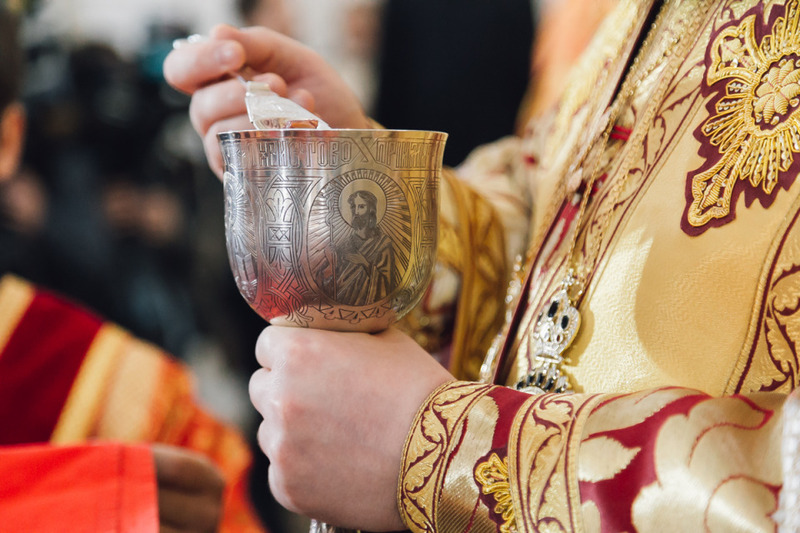 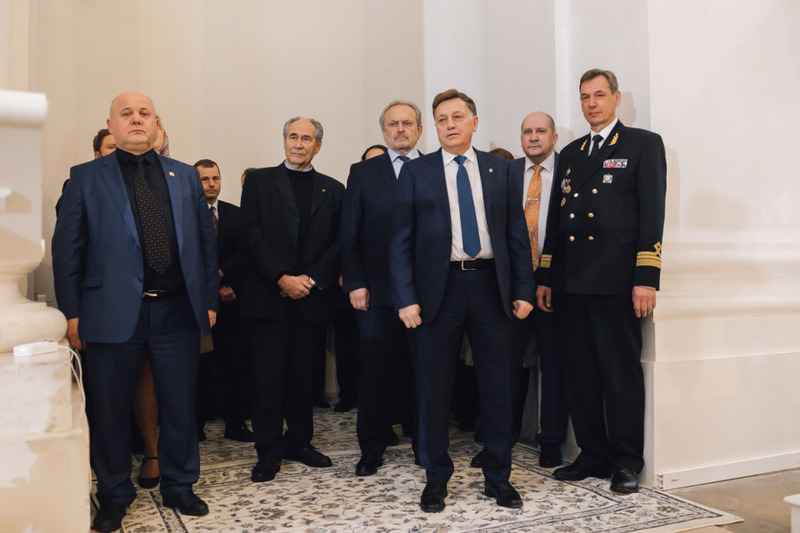 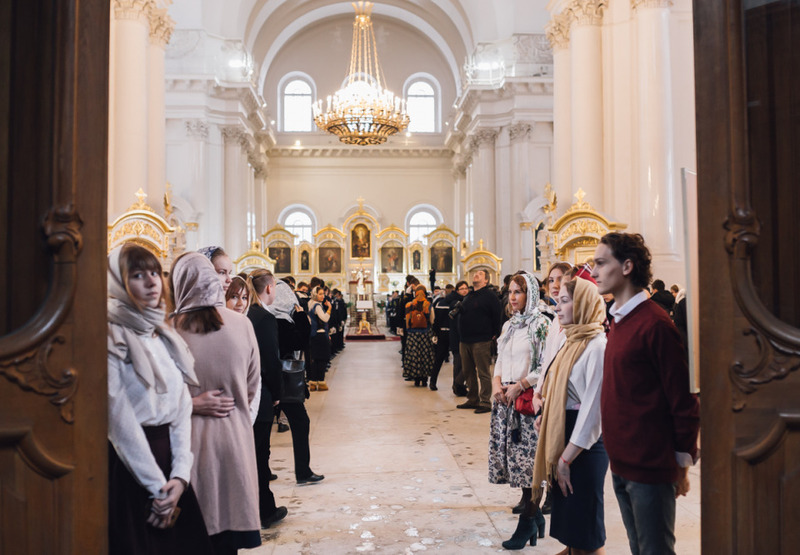 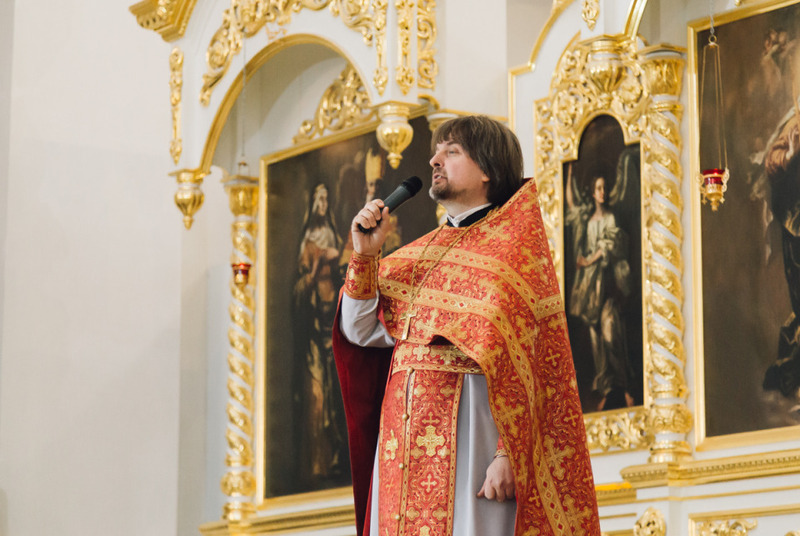 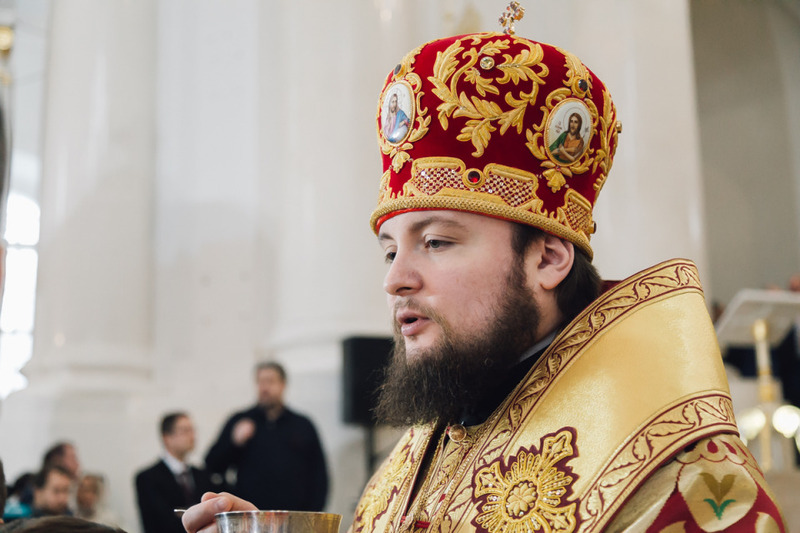 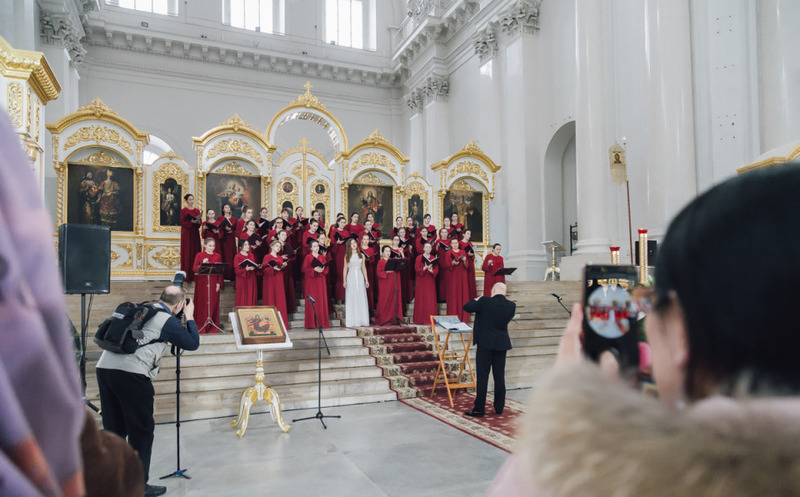 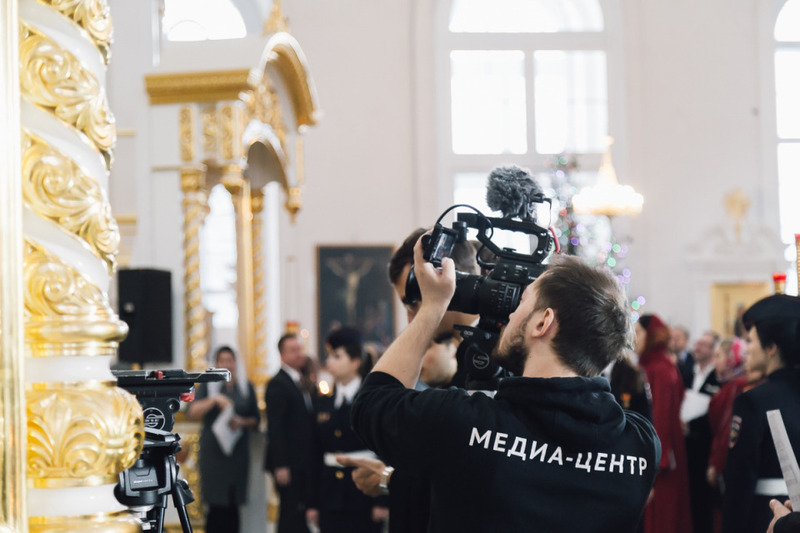 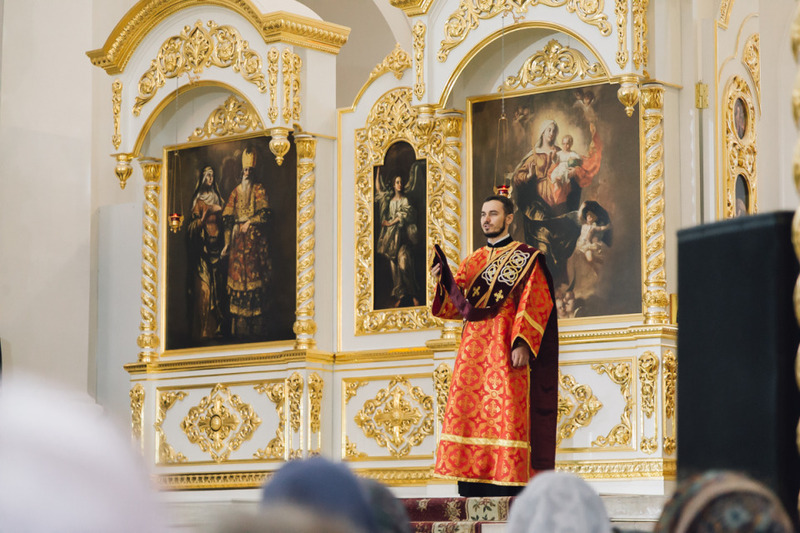 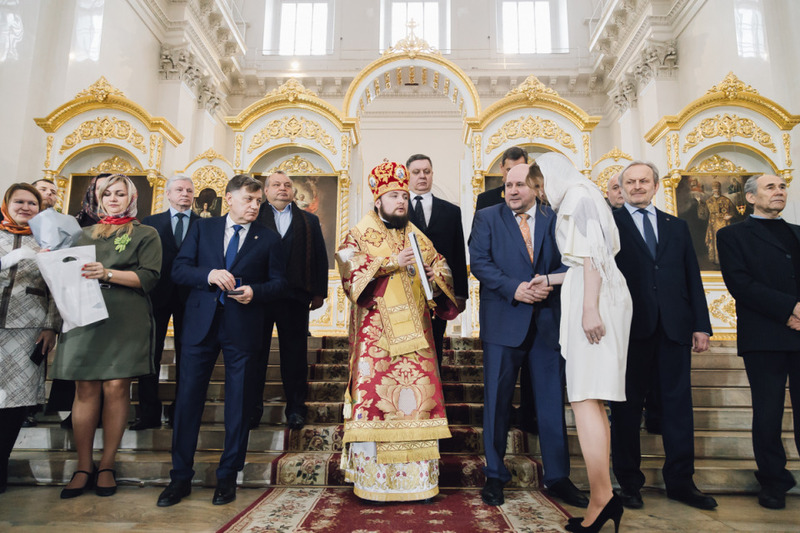 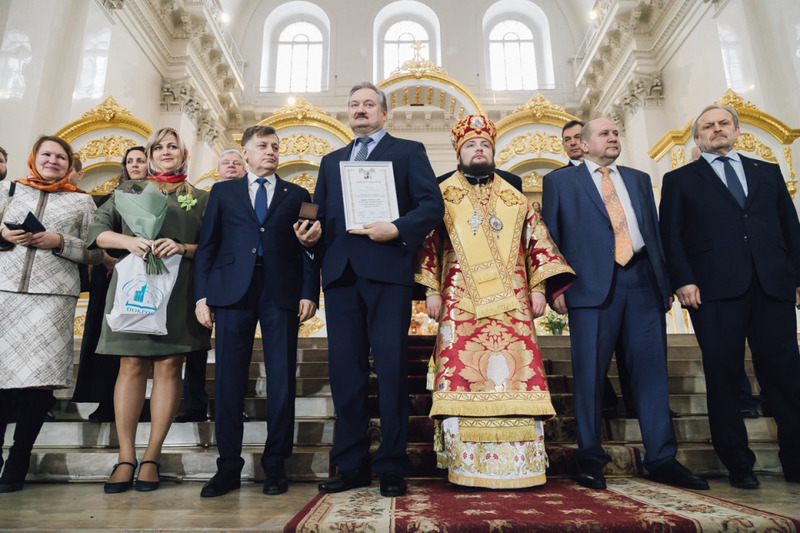 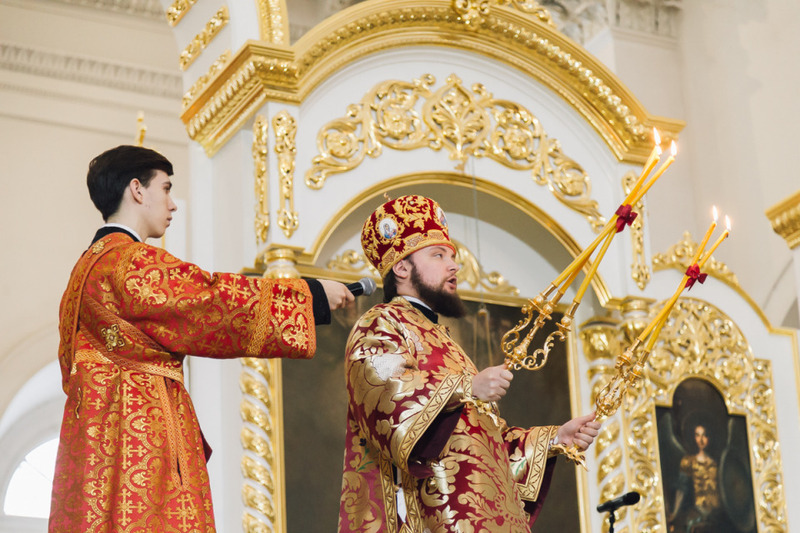 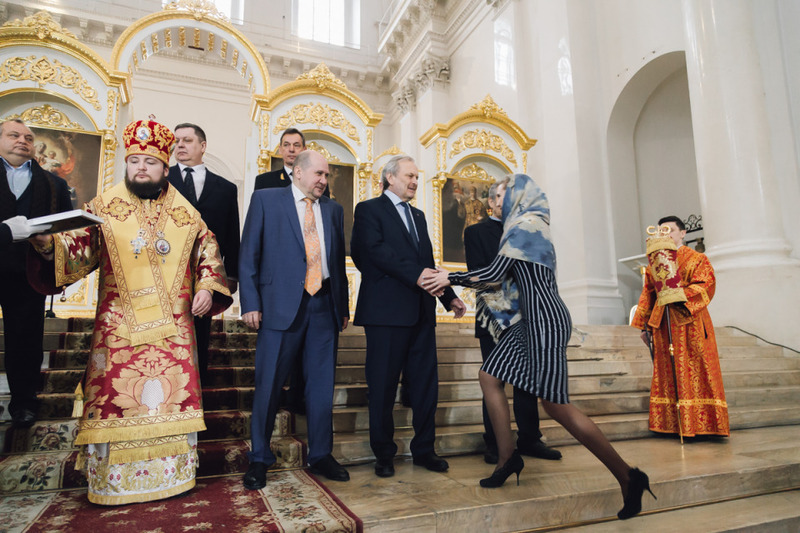 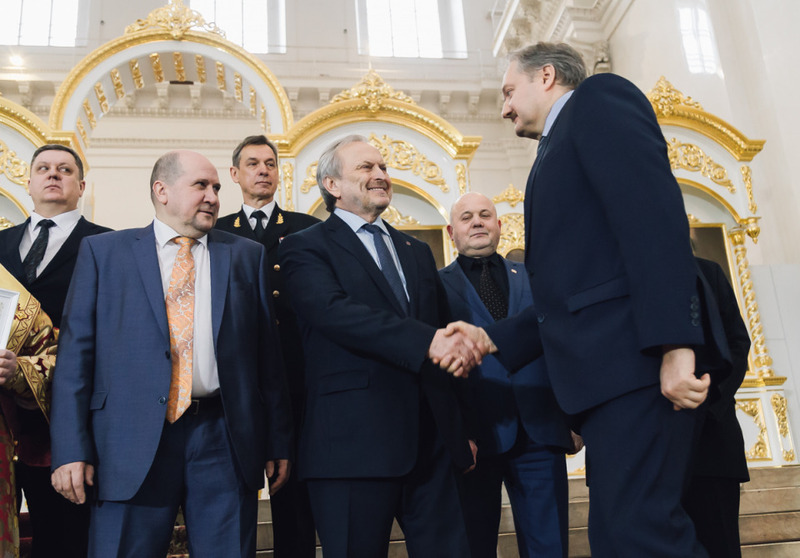 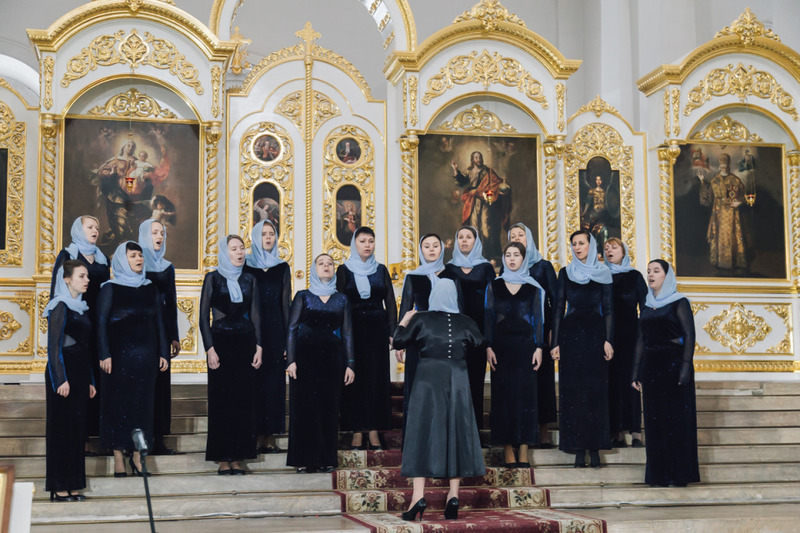 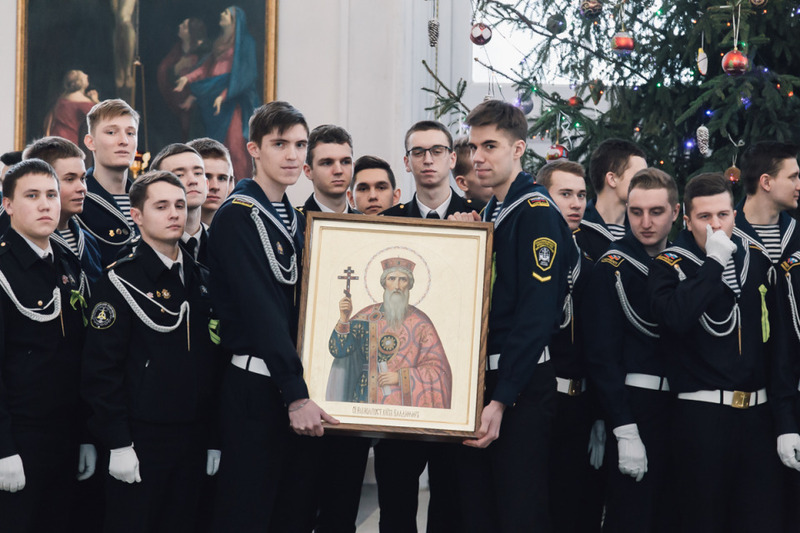 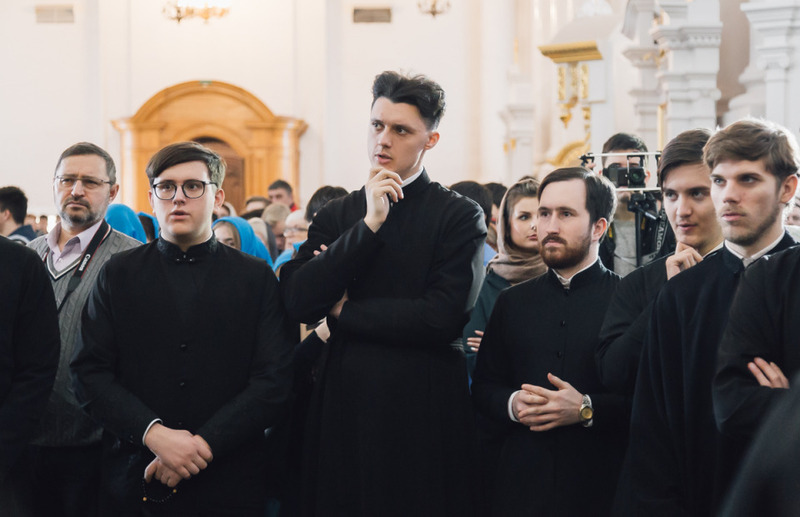 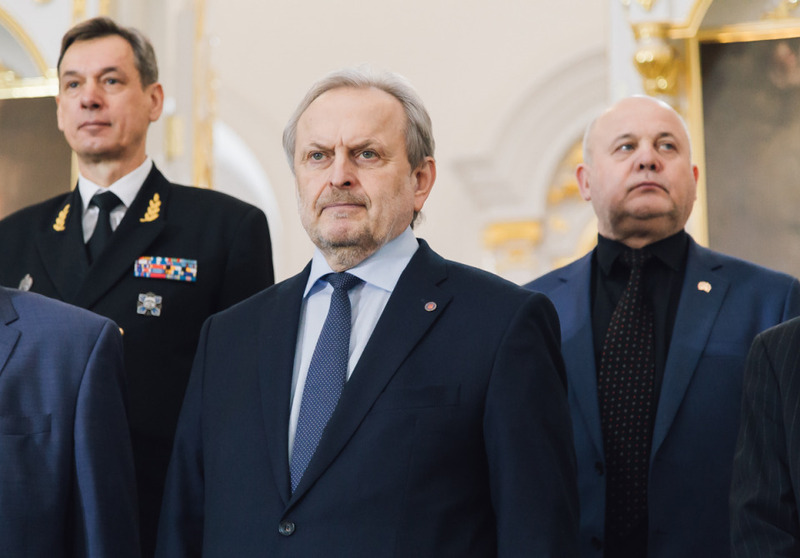 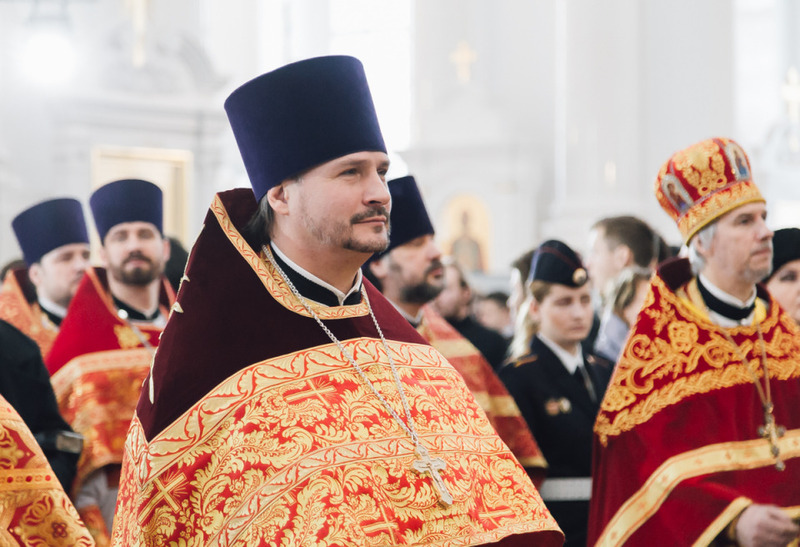 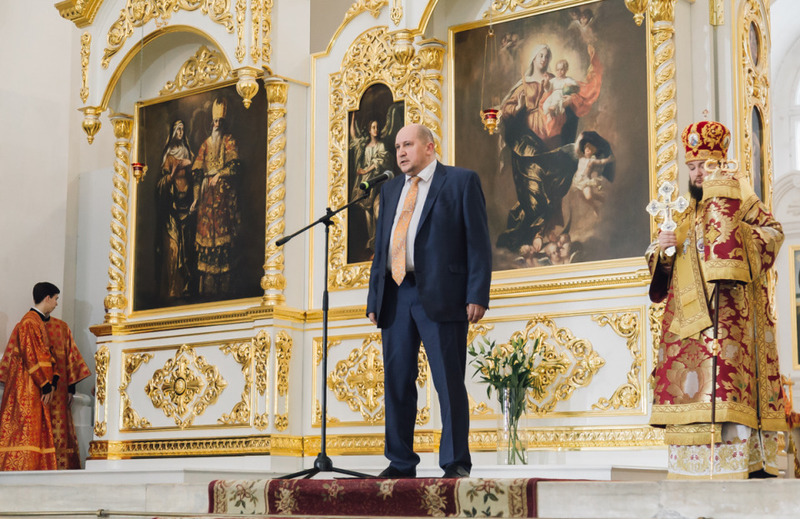 This year the liturgy and prayer was led by the rector of the St. Petersburg Theological Academy, Petergof Bishop Seraphim, and with a partial word on behalf of the acting governor of St. Petersburg addressed Vyacheslav Makarov. 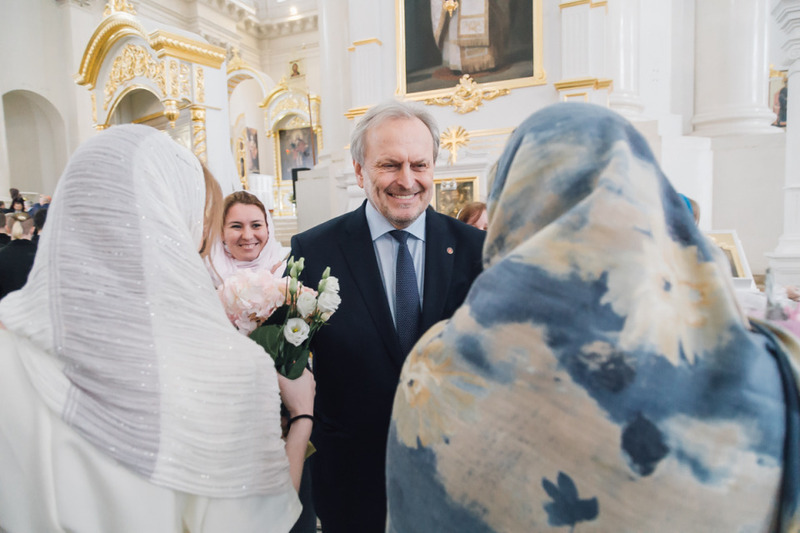 He wished the students unity and cohesion in order to create a better future for their city, themselves and the whole world. 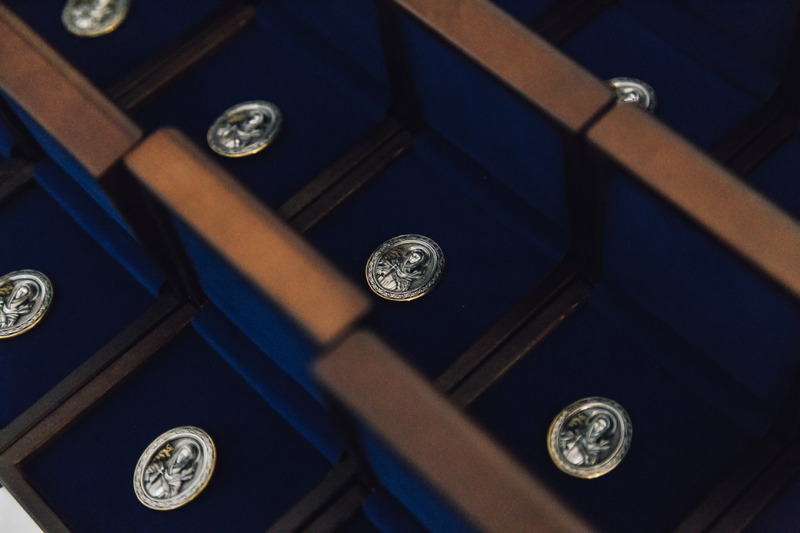 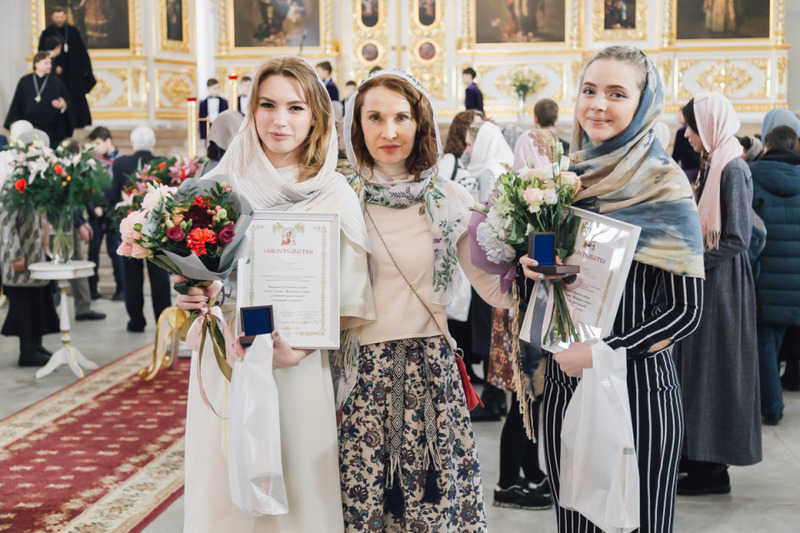 Awards were awarded to students who took an active part in social and volunteer movements, activists of educational projects and organizers of charity events. 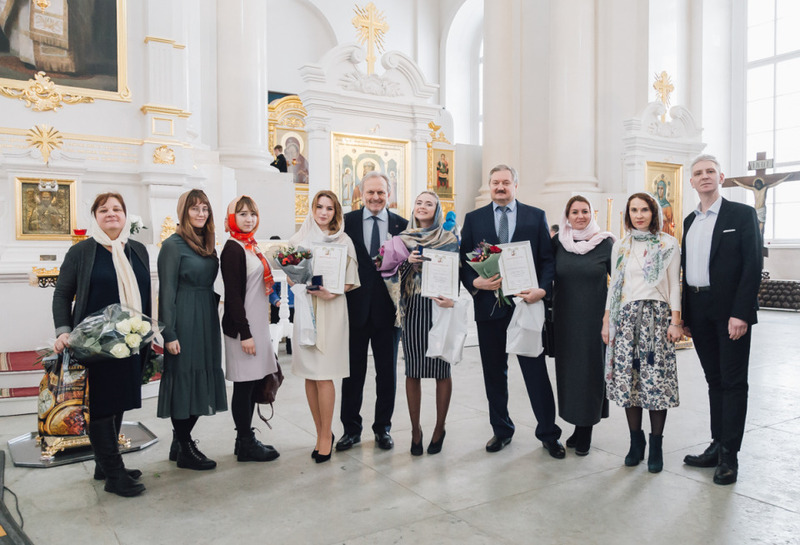 Also in a separate nomination noted employees and employees of universities, who in every way contributed and helped the children in self-realization. 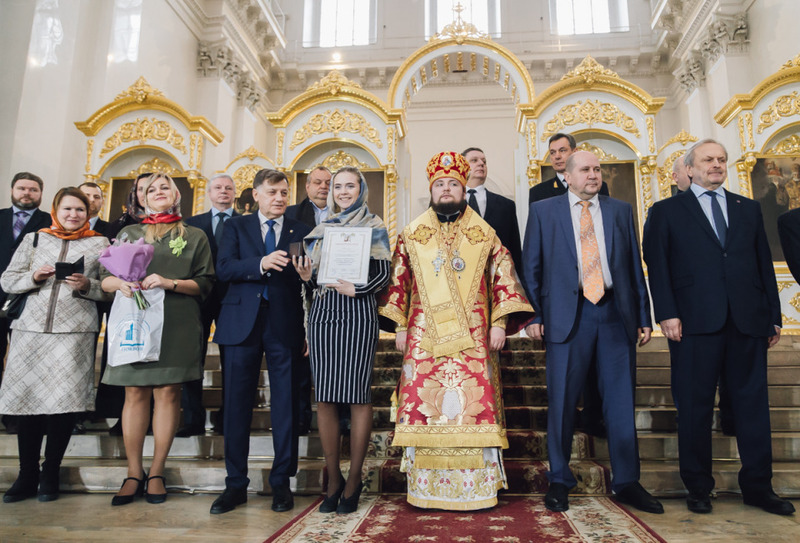 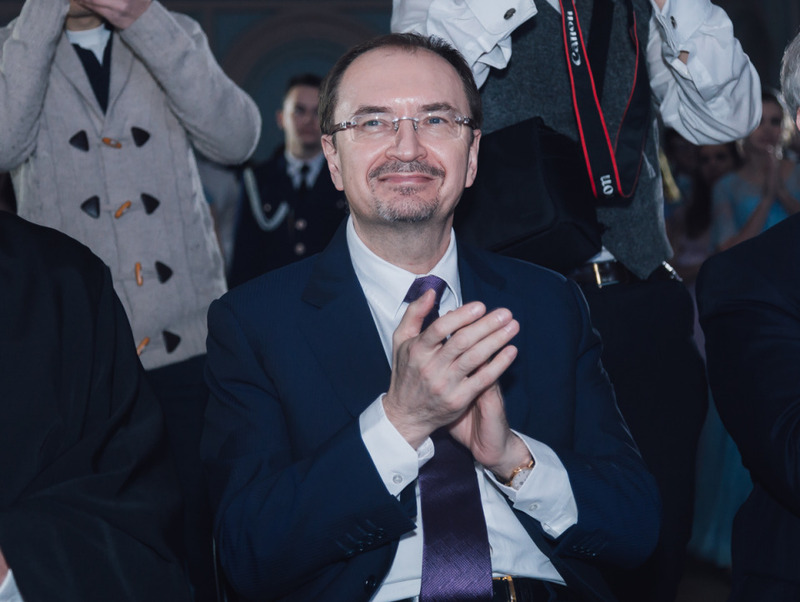 Thus, Dmitry Petrovich Barsukov, Vice-Rector for Academic and Scientific Work of the University, was awarded in the nomination "Mentor of Youth". 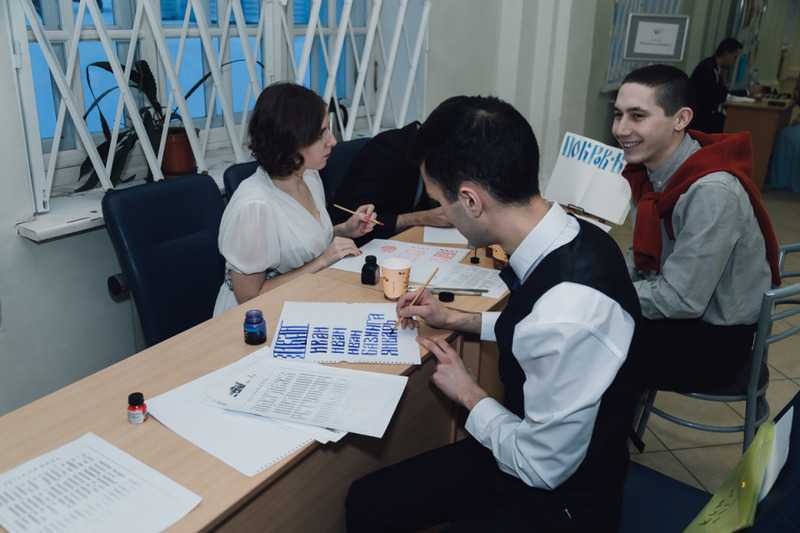 He noted that in his person the whole University was awarded, and this sign is the achievements of the all employeers work. 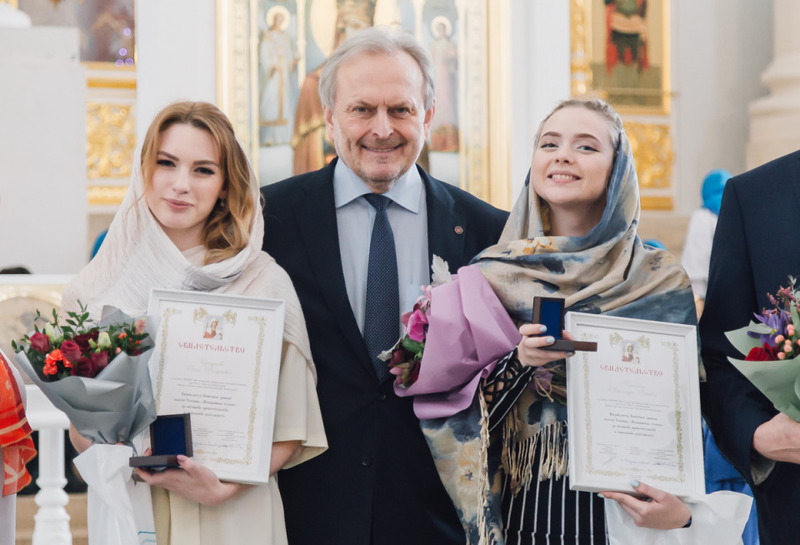 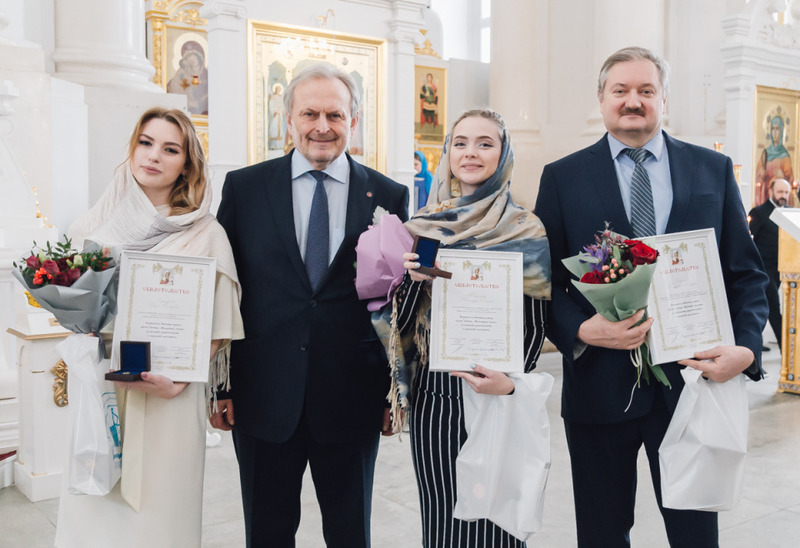 Also, four-year students of the Faculty of Management and Media Communications Alexandra Tereshchenko and Olga Korshunova received awards. 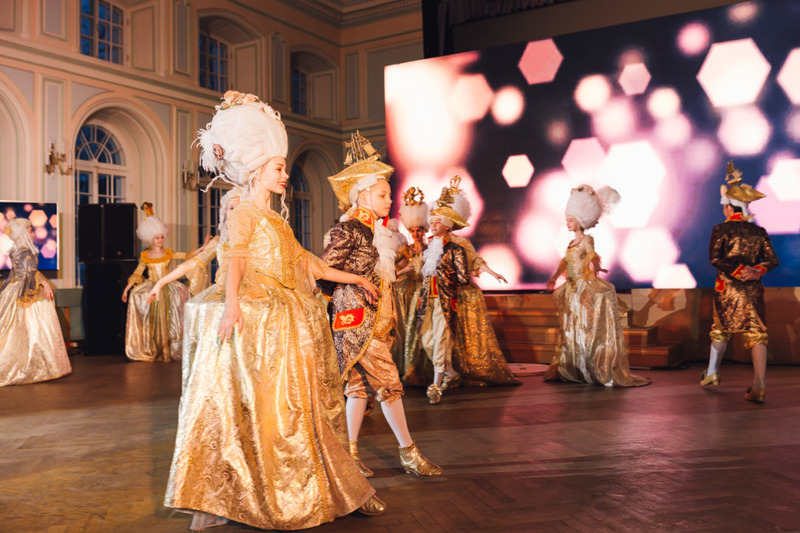 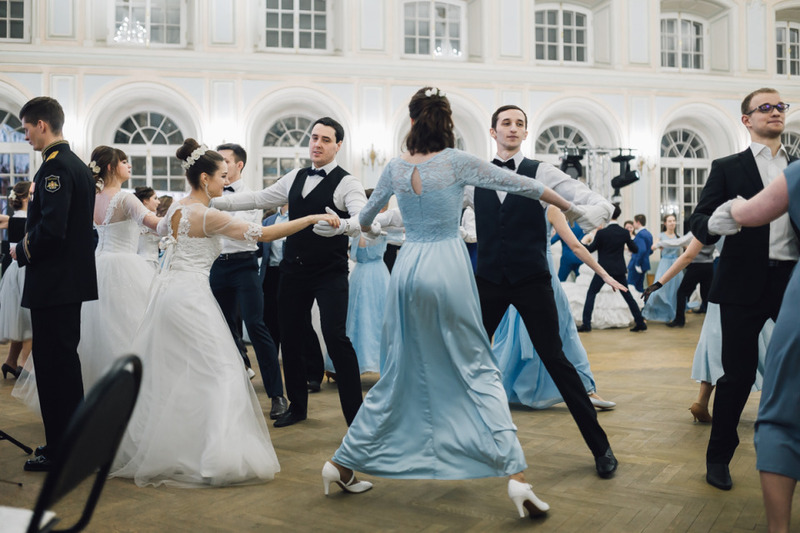 The end of the holiday was the Pokrovsky Tatiana Ball. 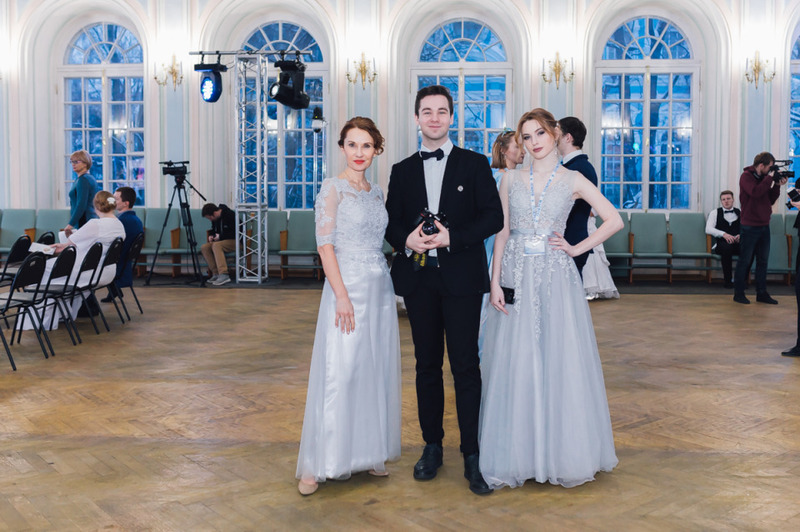 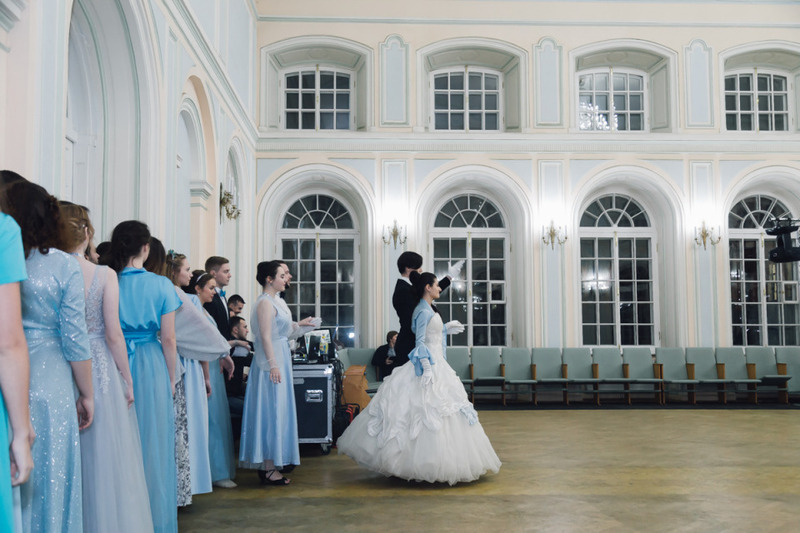 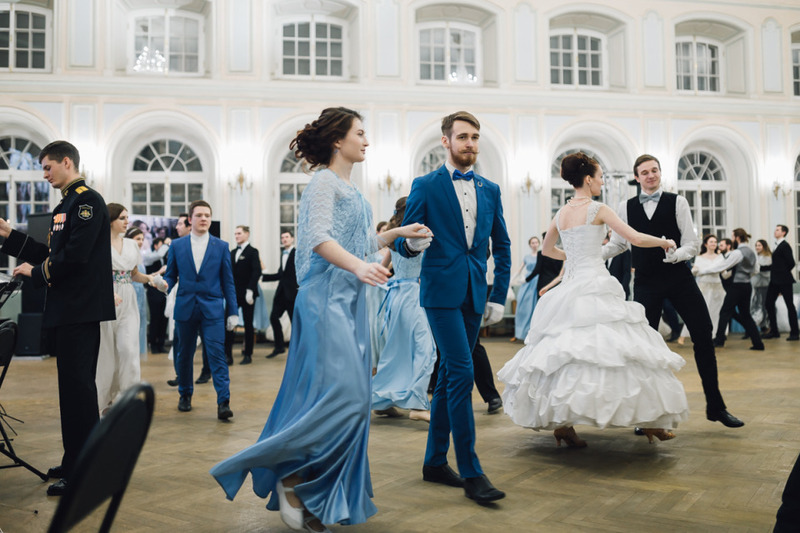 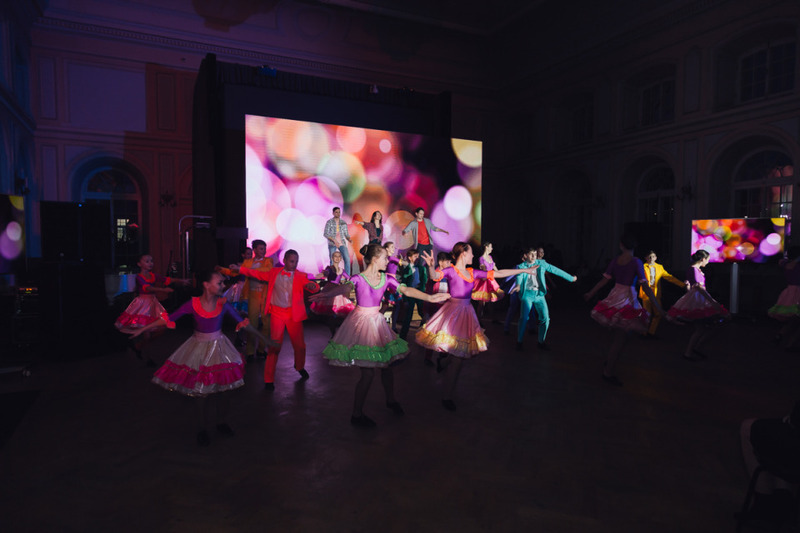 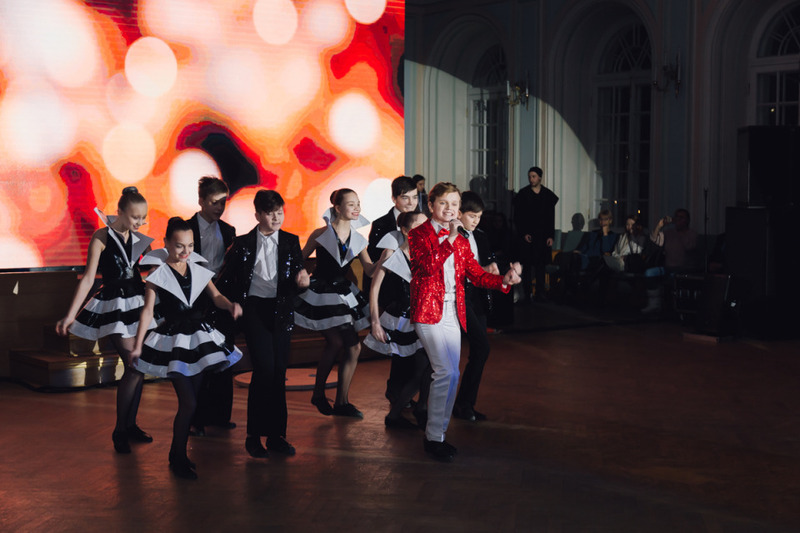 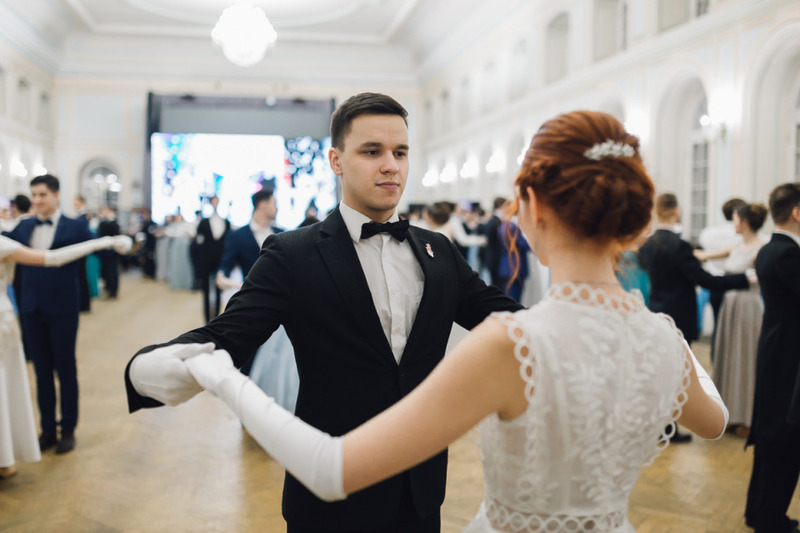 In the evening, in the assembly hall of the Smolninsky campus of St. Petersburg State University, young men and women gathered in strict dress coats and lush dresses to wind up the waltz or perform a square dance to the music of the orchestra. 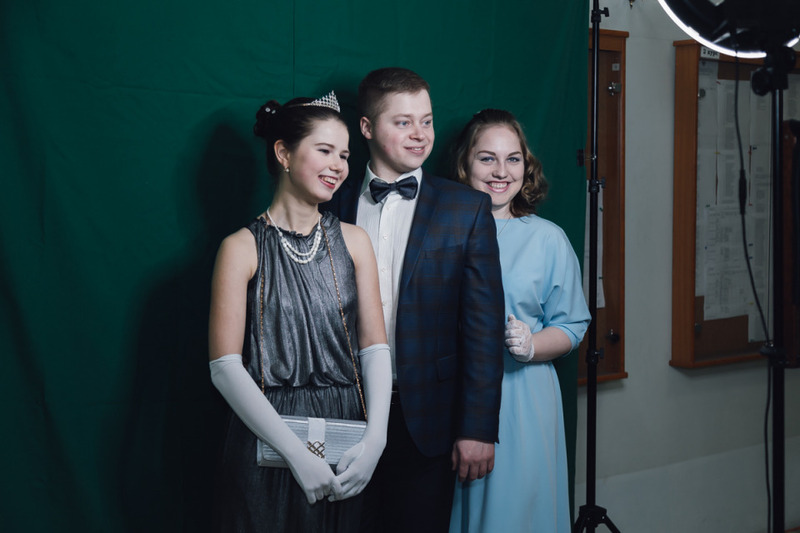 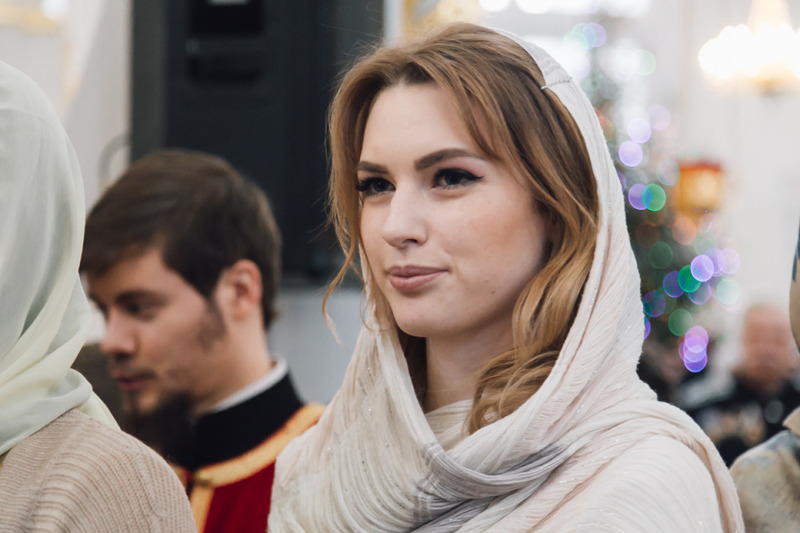 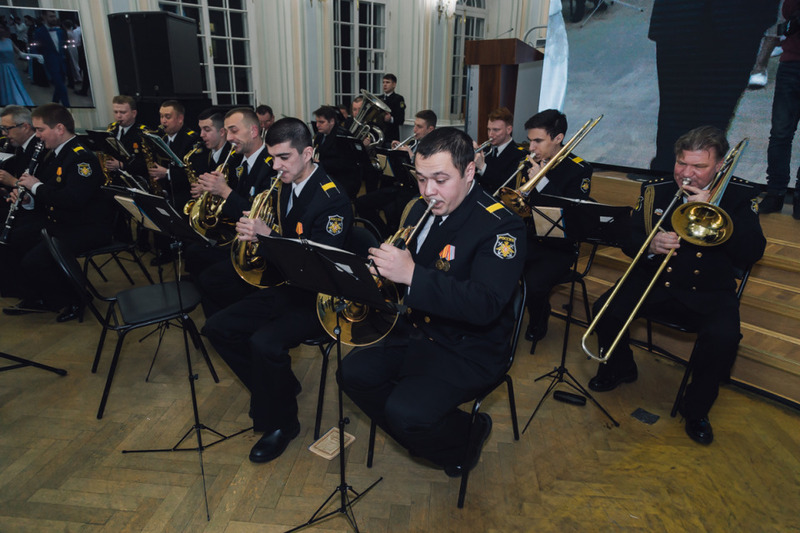 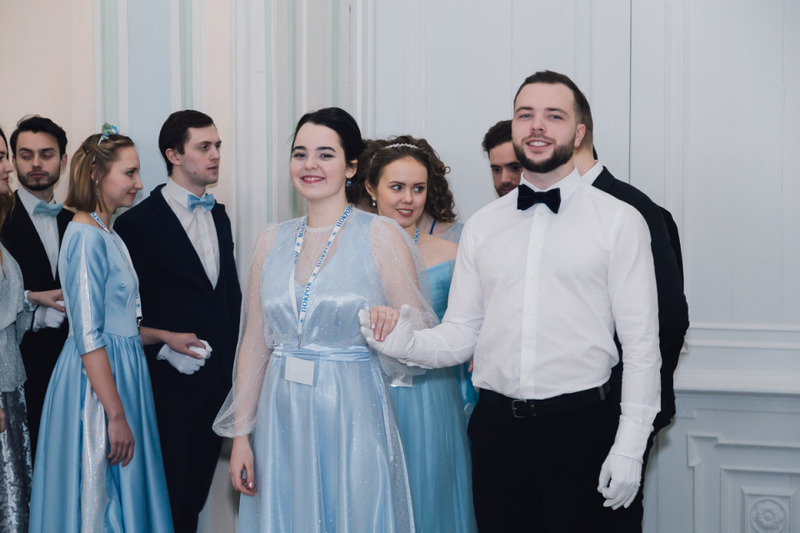 Participants of the ball are traditionally students and cadets of universities of St. Petersburg. 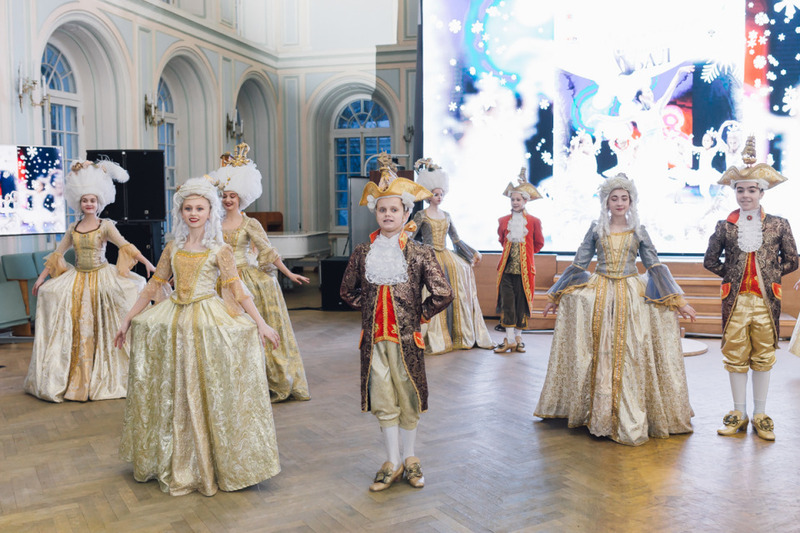 During the evening, the young people performed 24 dances: waltz, polonaise, quadrille, contree dance, minuet and others. 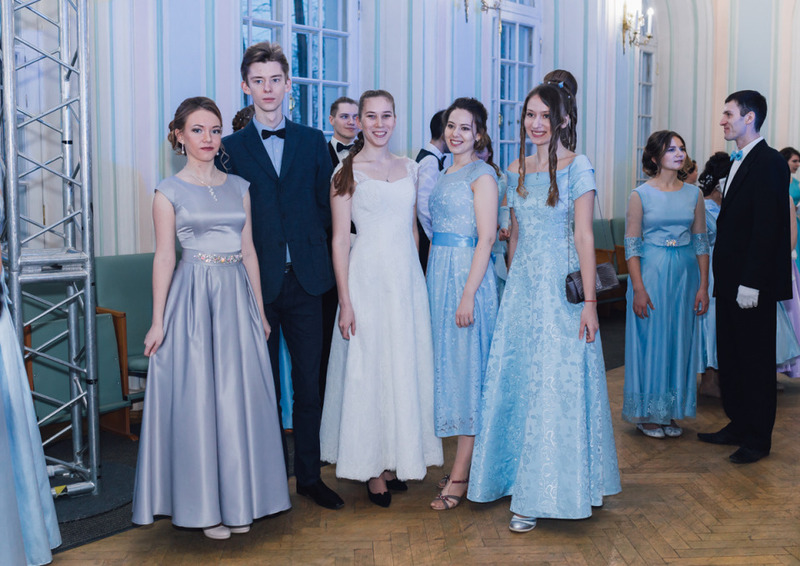 This year the ball was devoted to the topic of sincerity and honesty, and was called the “Miracle of sincere heart”. 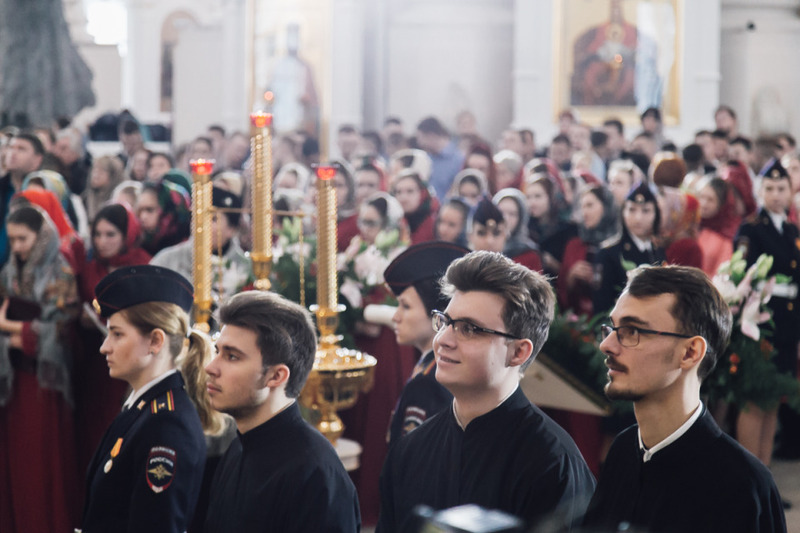 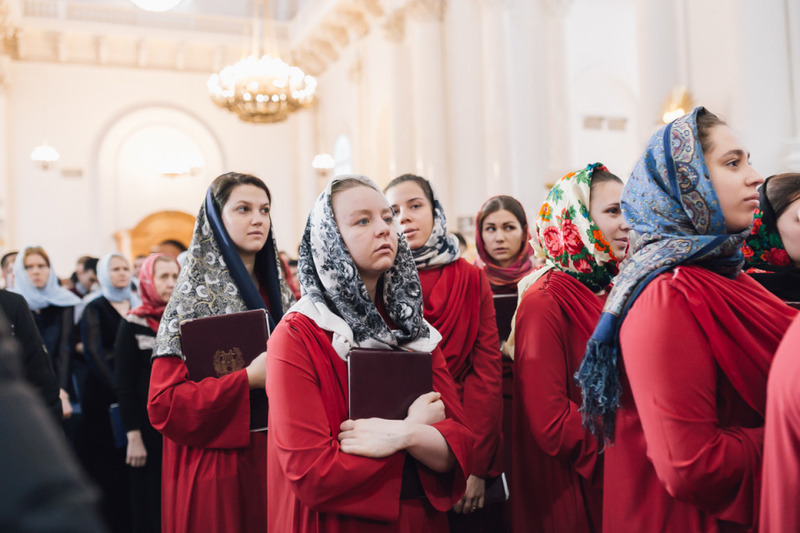 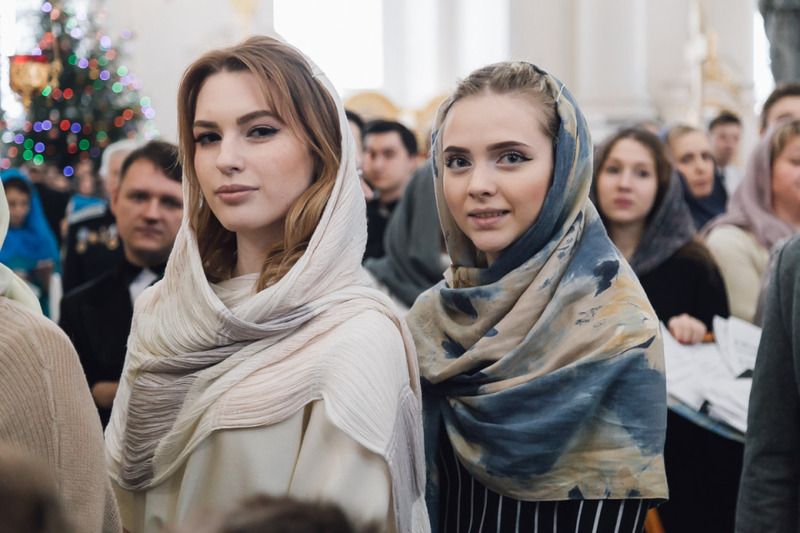 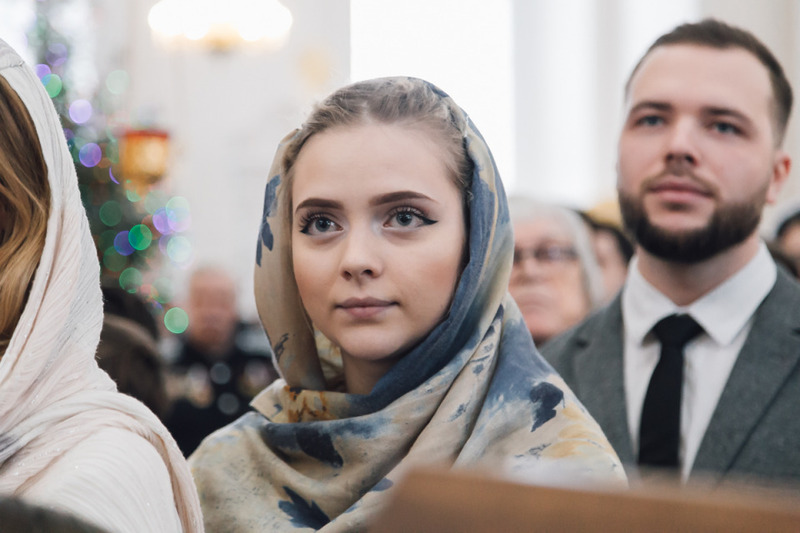 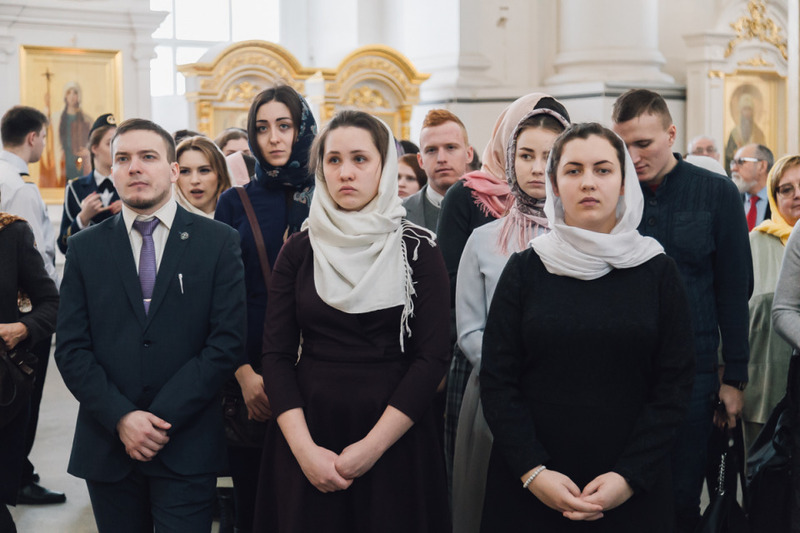 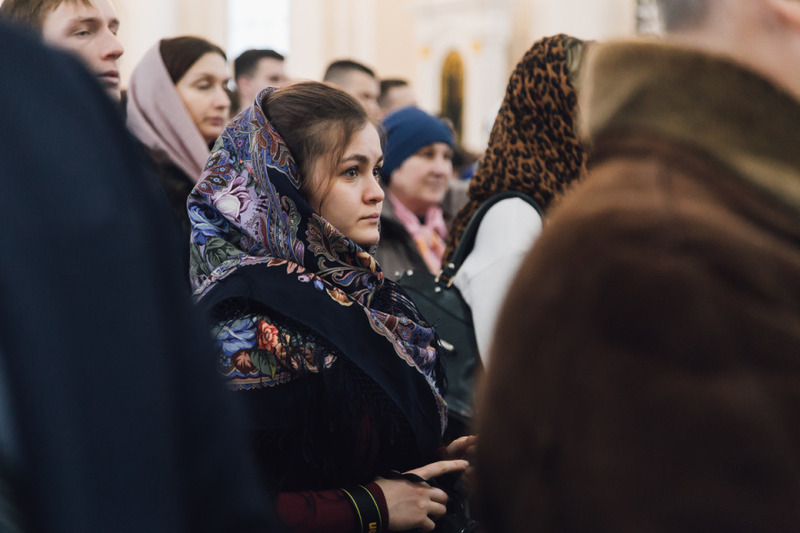 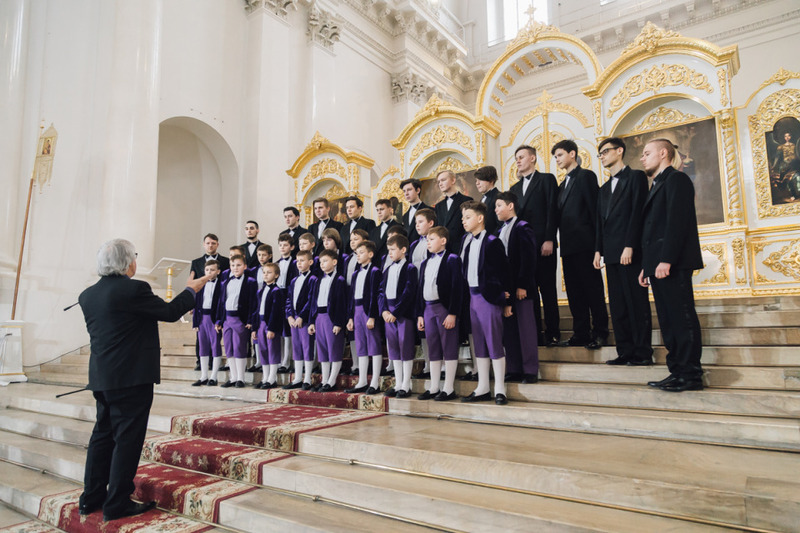 Before the event, the rector of the St. Petersburg Theological Academy - Bishop of St. Petersburg Seraphim congratulated the students and wished them to have a festive mood accompanying them throughout the school year. 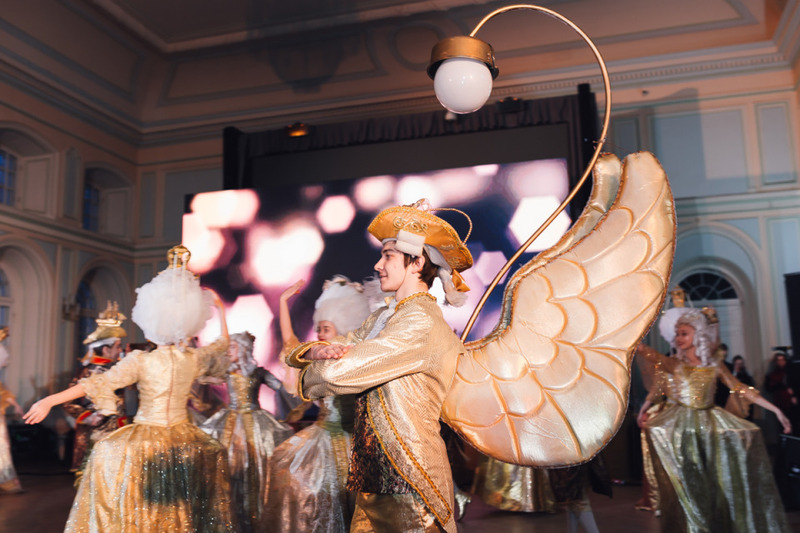 A wonderful atmosphere reigned at the ball. 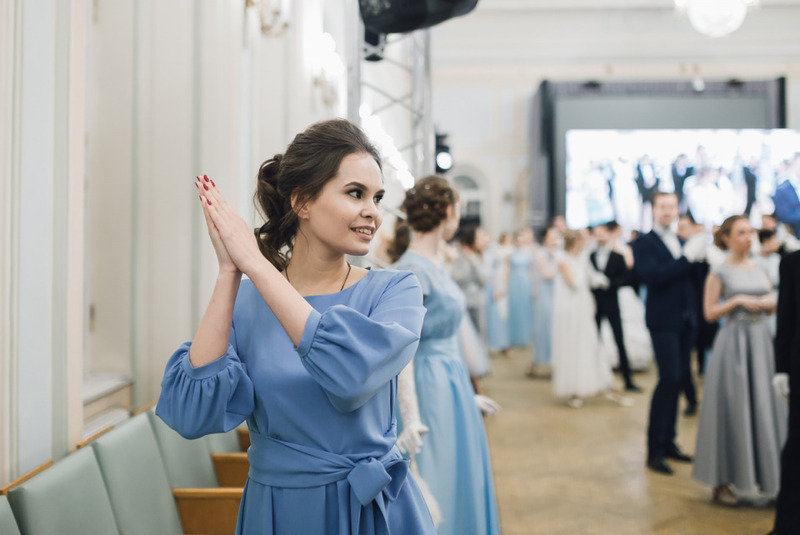 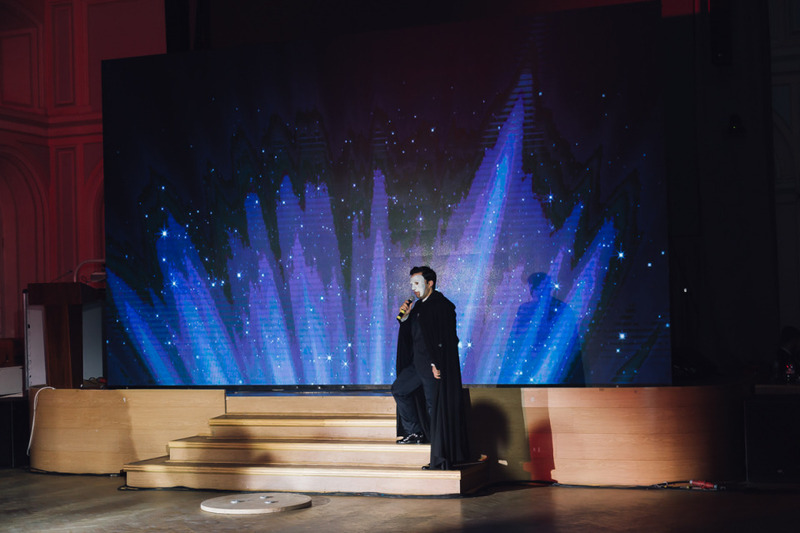 The ball was not limited to one dance program, the solemn part was opened by welcoming speeches and creative performances. 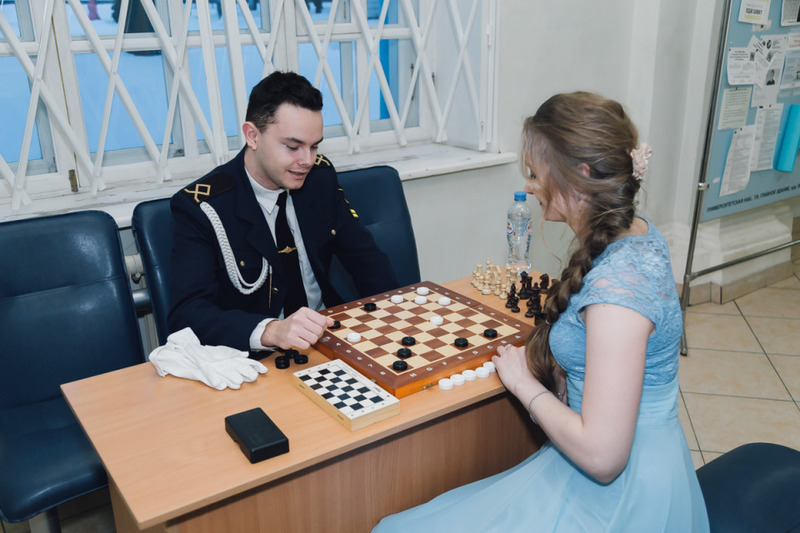 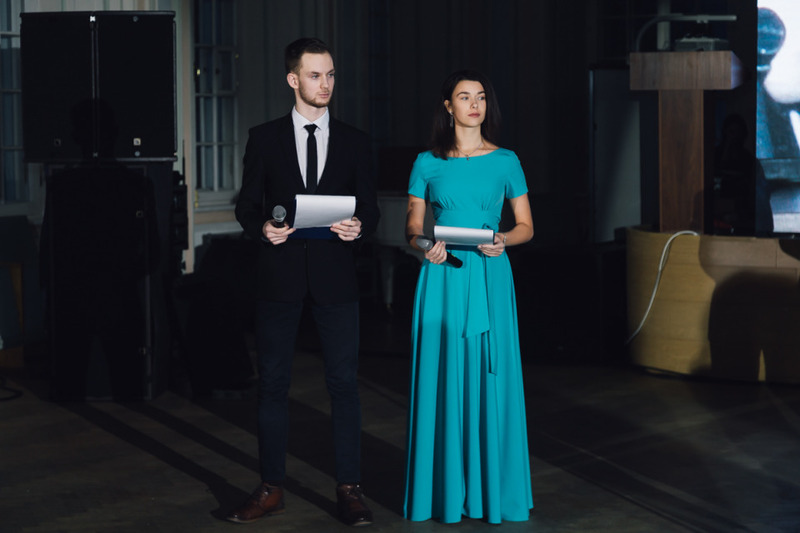 The masters of ceremonies were Sergey Fomin, a student of the Faculty of Management and Telecommunications, and Alina Roshchik, a graduate of our University, who had already repeatedly held the Pokrovsky Balls. 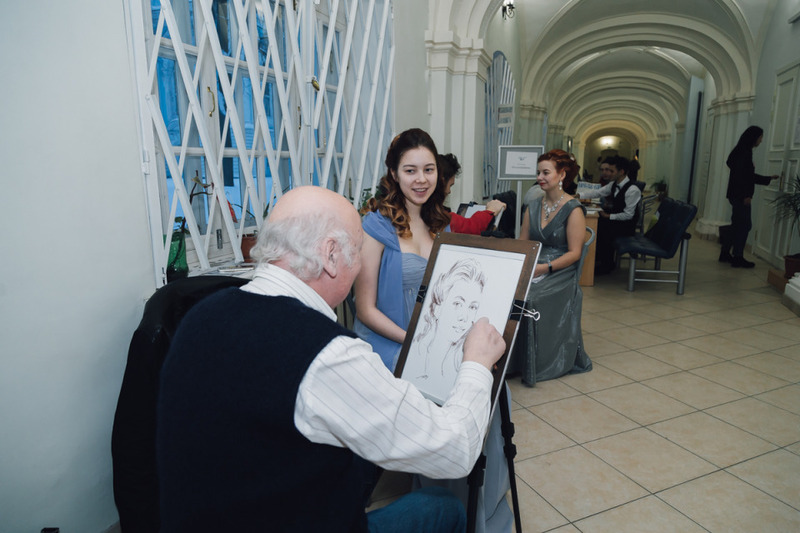 And for those who were tired of dancing, an area was organized where they could learn calligraphy, play chess and even get their portrait from a real artist. 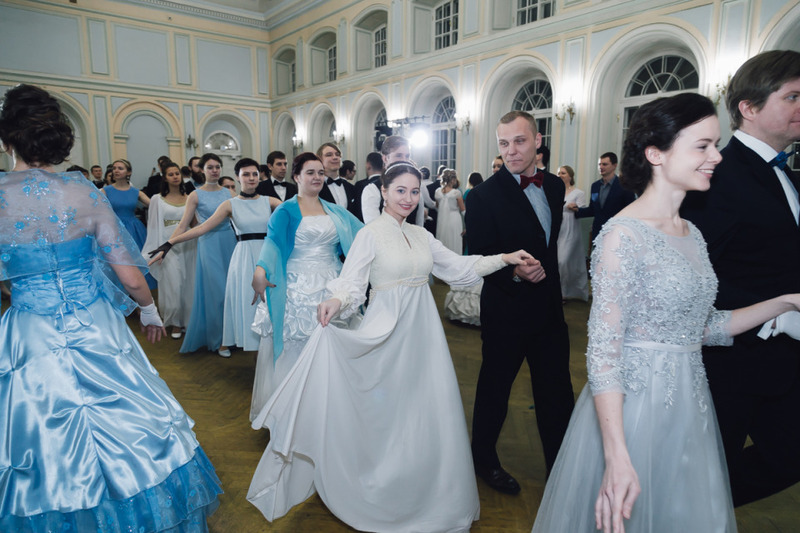 - Pokrovsky ball as always struck by its scale and the number of beautiful people on it. 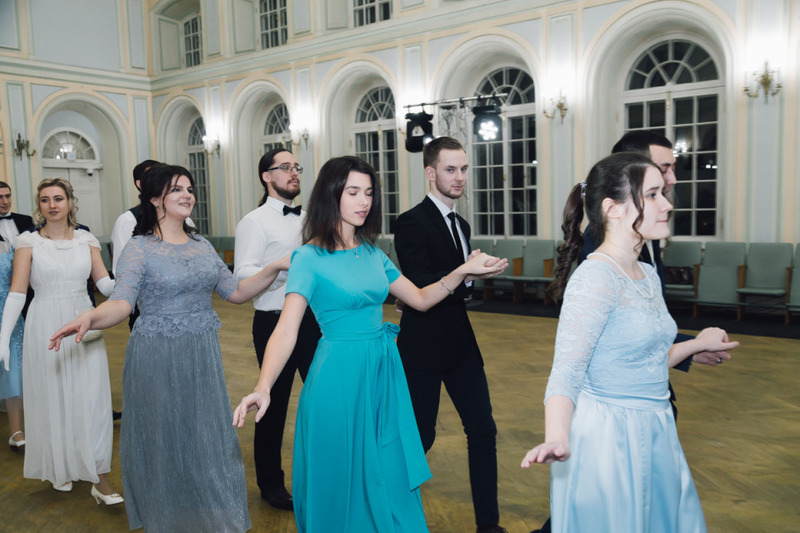 All movements were well explained by the dancemaster, and all the ladies and gentlemen danced like real professionals, did not hesitate to invite each other to dance and make new acquaintances. 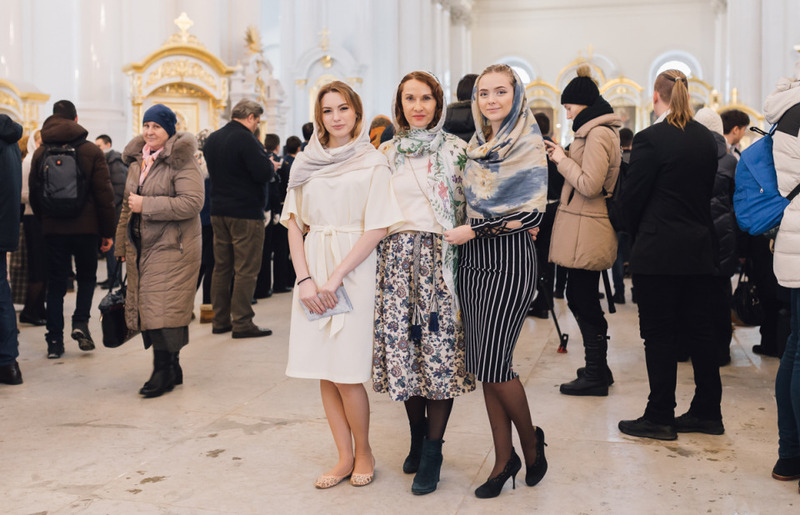 This atmosphere of community is impossible to convey in words, you can only feel, being on such a festive. 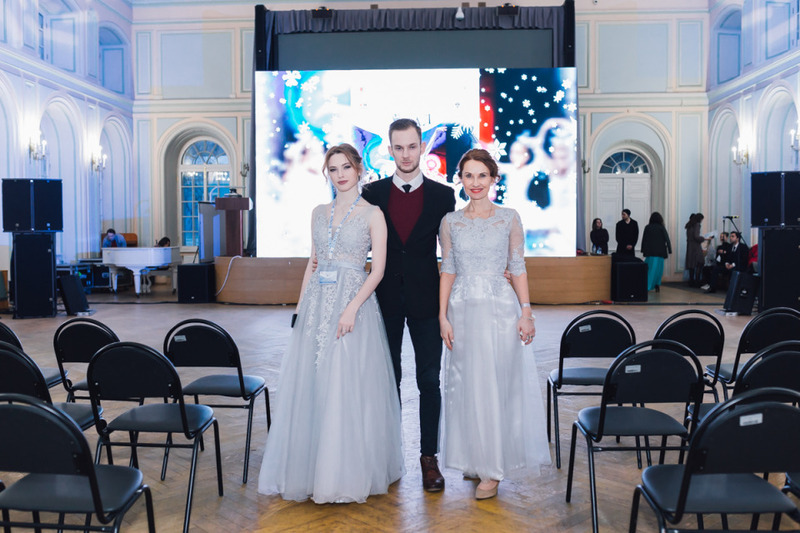 The day was very busy! 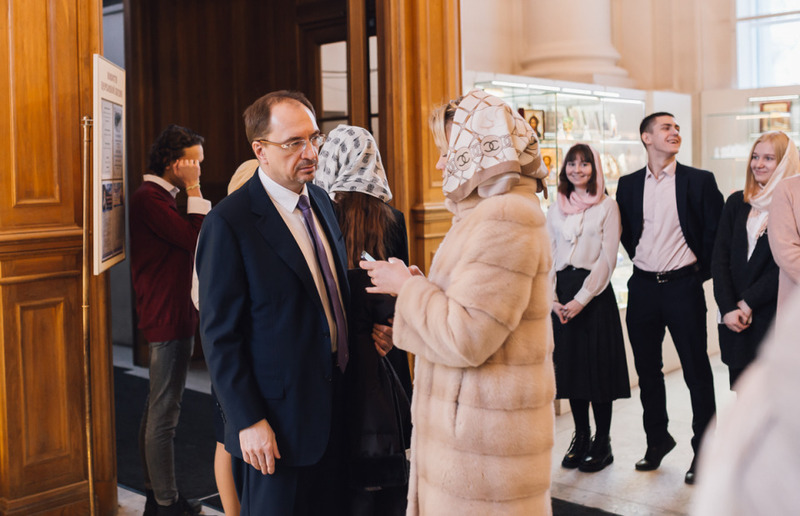 It is always pleasant to be at such events on the Day of Russian Students and to feel an integral part of this holiday!